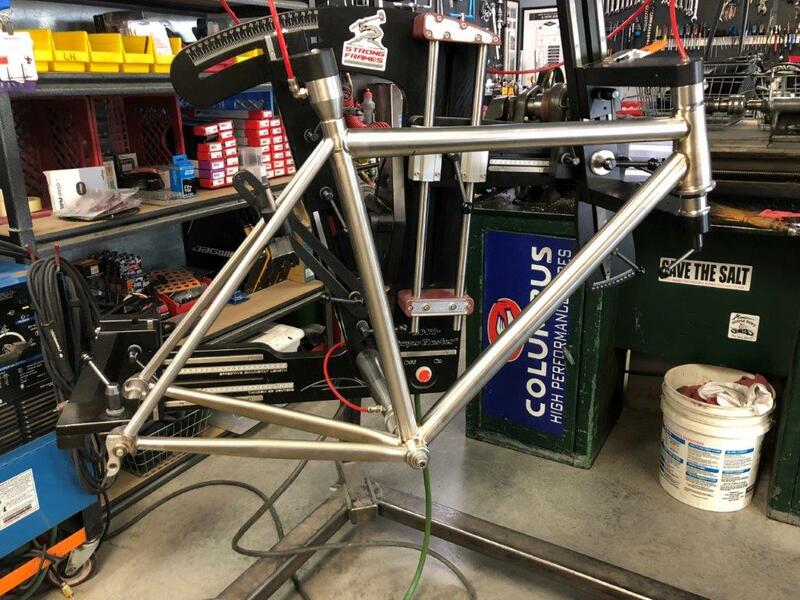 Tiatnium All-Road, built for tires up to 45, disc brakes and Shimano Di2. 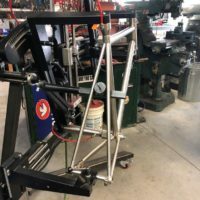 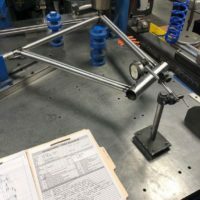 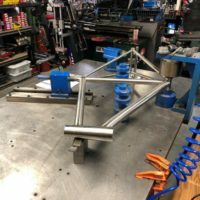 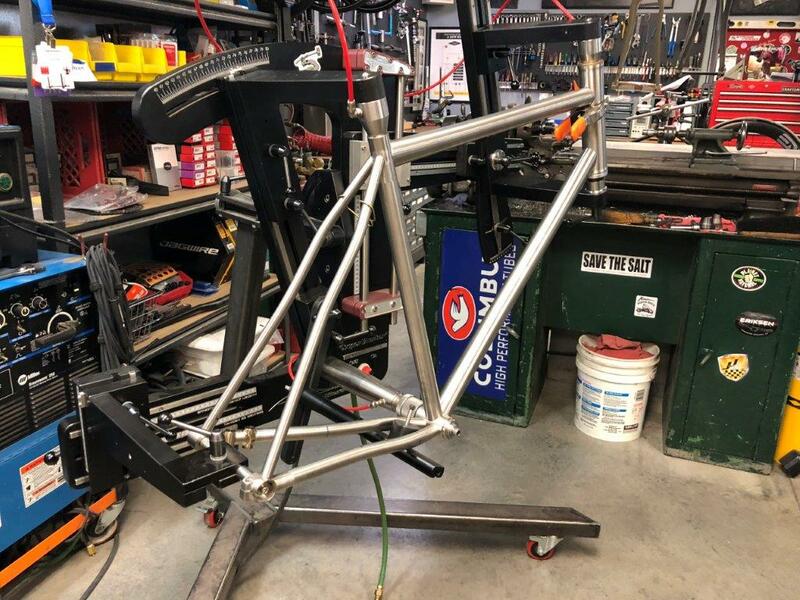 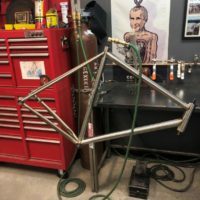 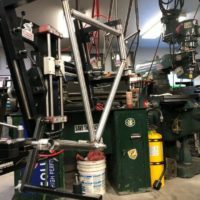 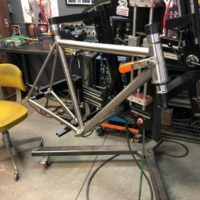 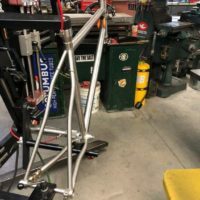 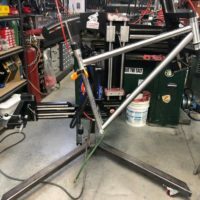 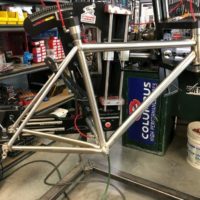 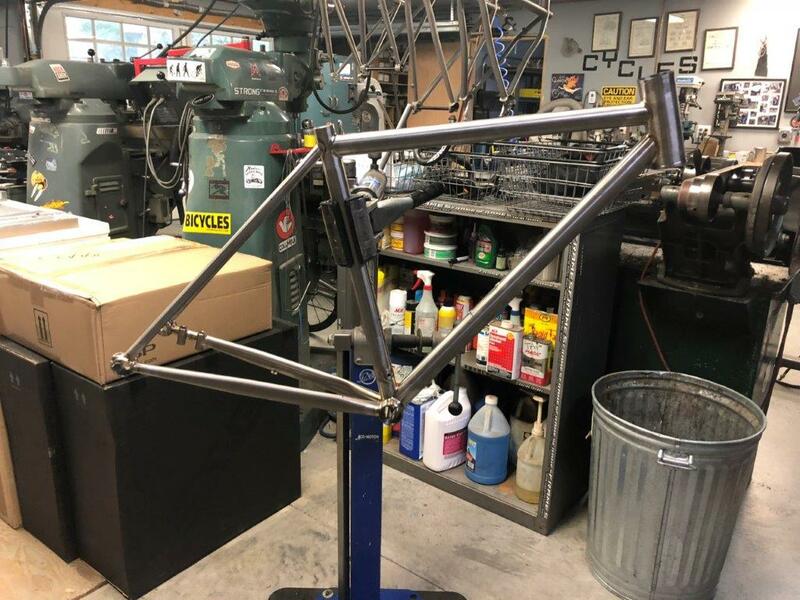 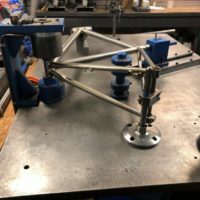 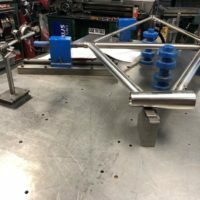 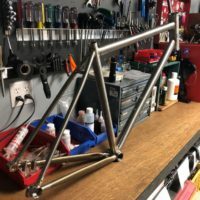 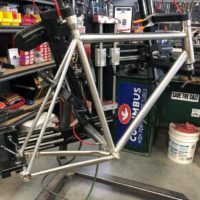 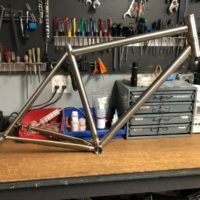 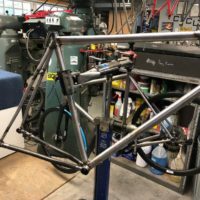 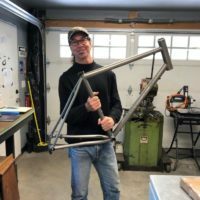 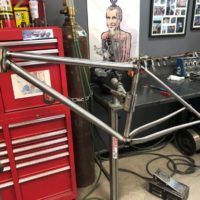 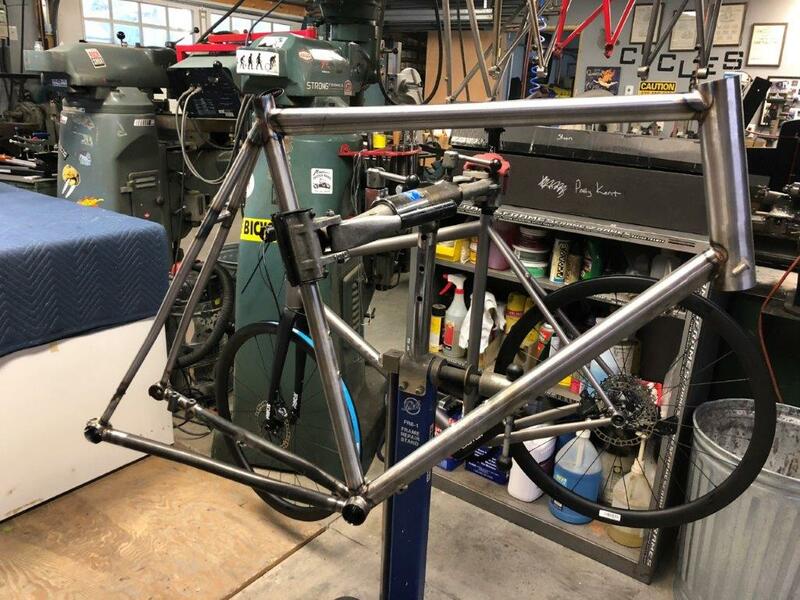 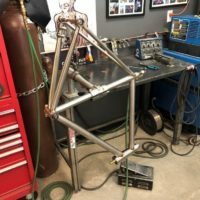 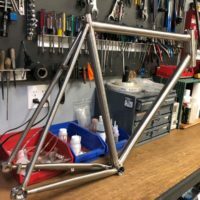 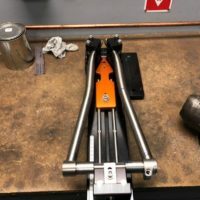 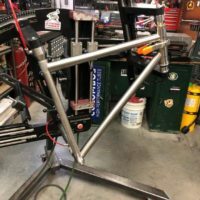 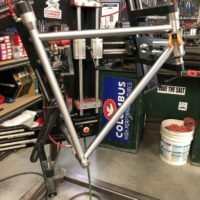 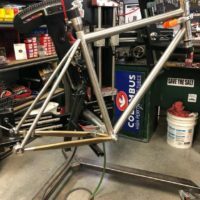 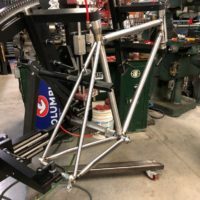 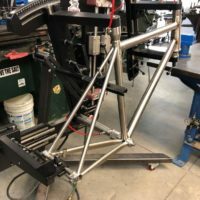 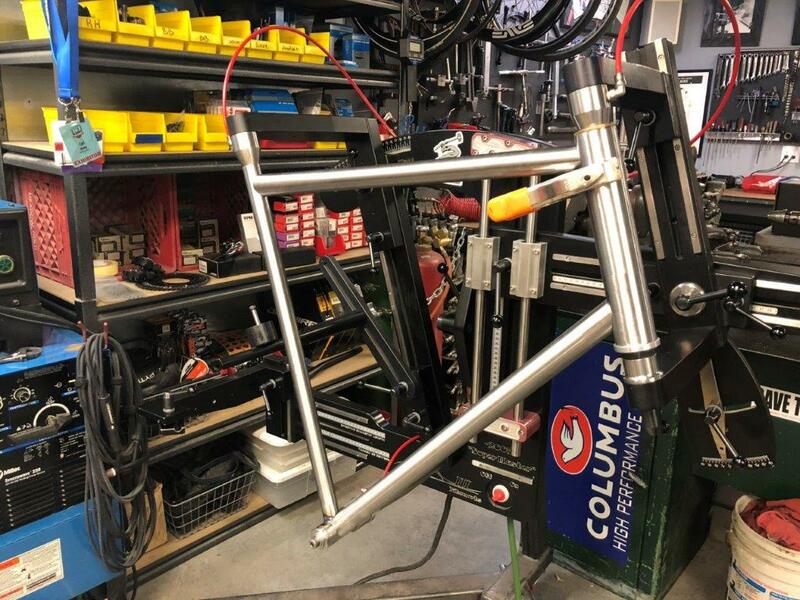 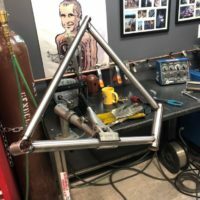 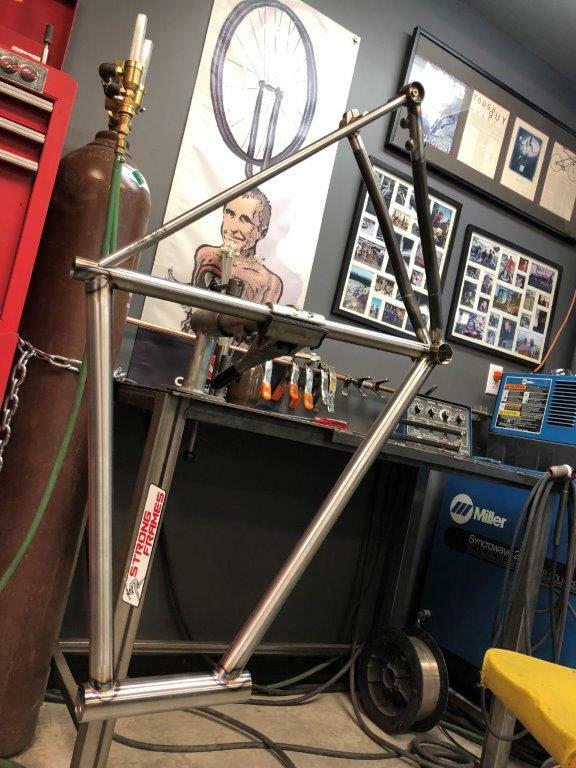 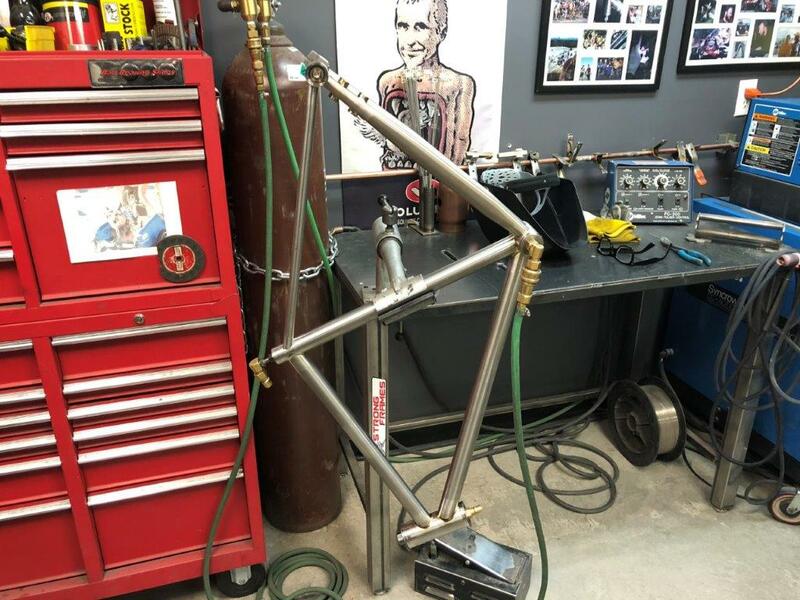 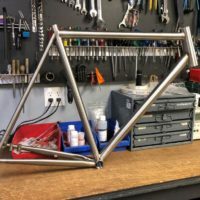 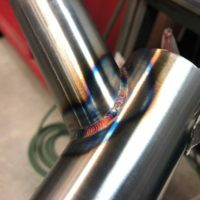 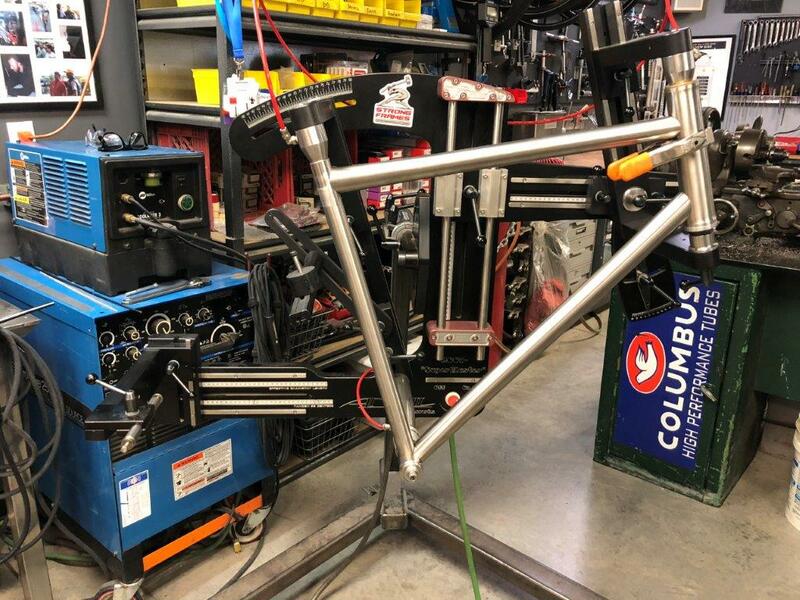 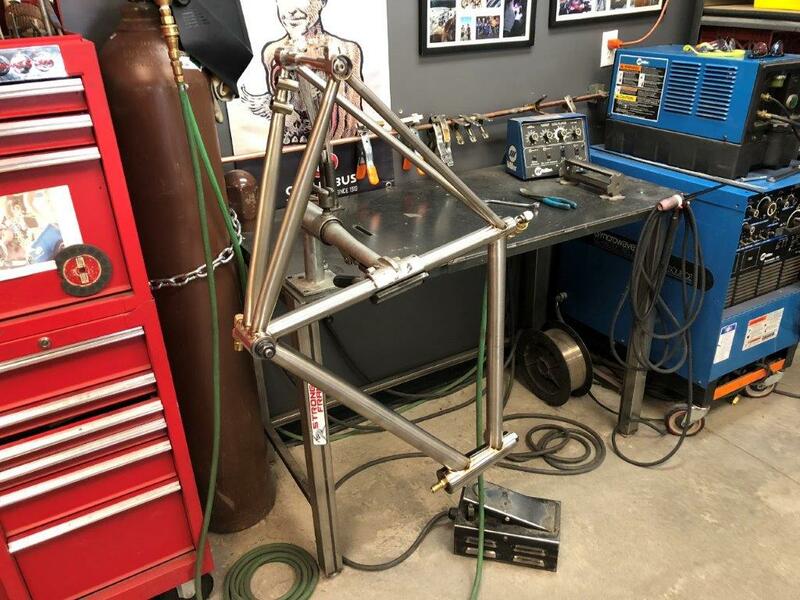 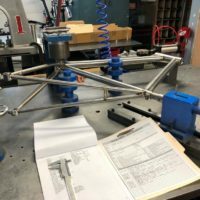 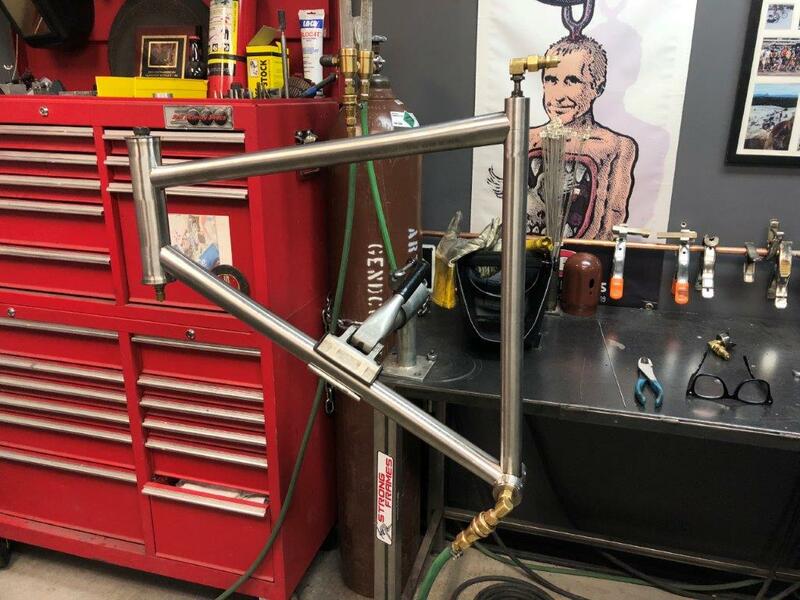 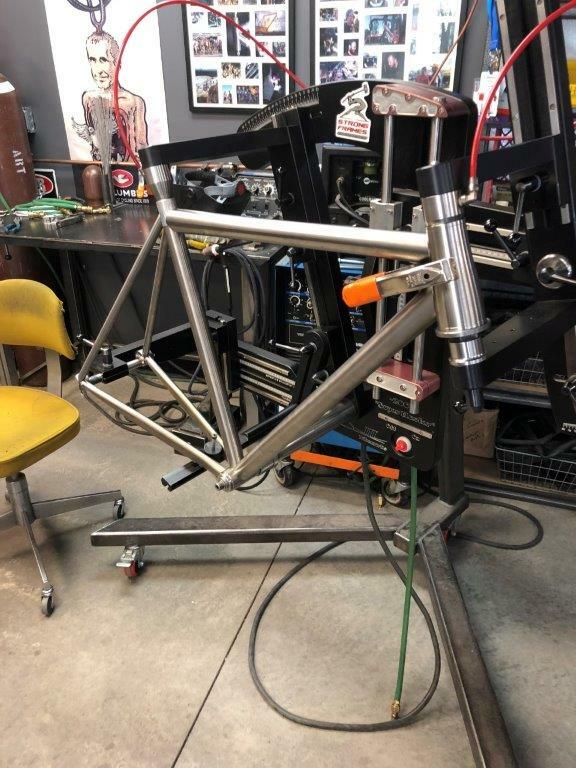 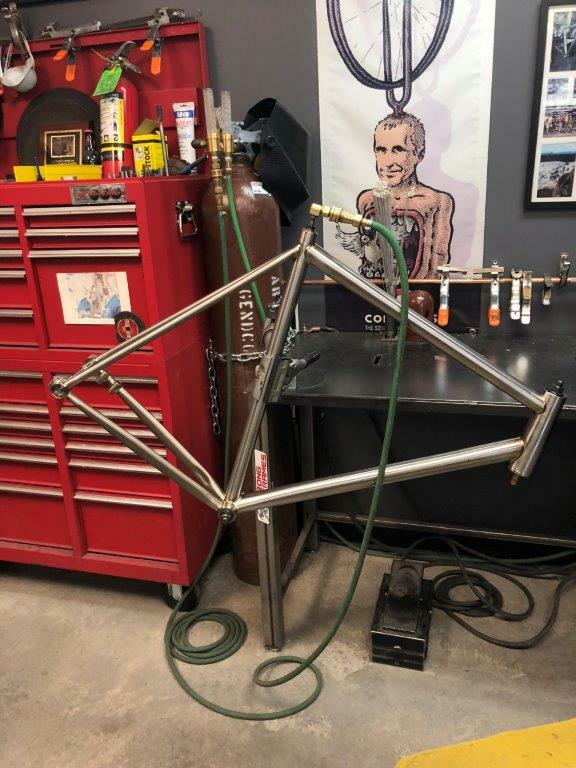 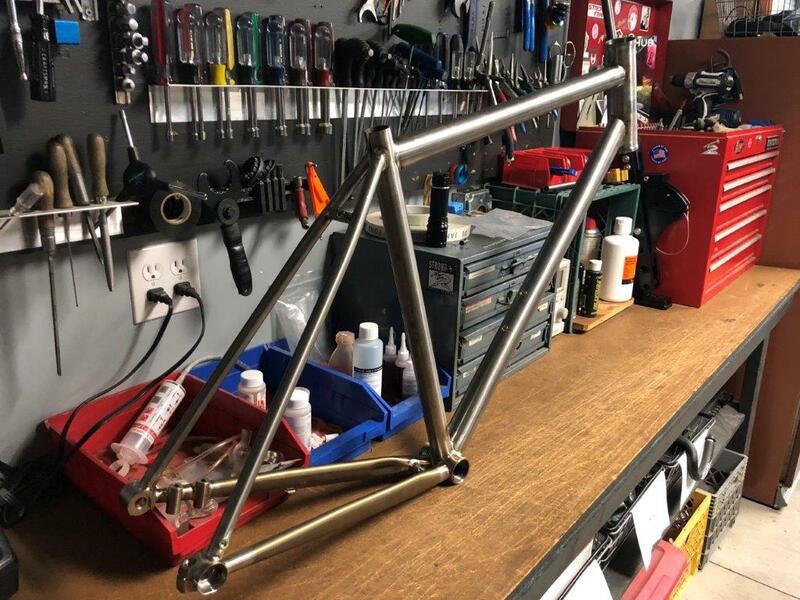 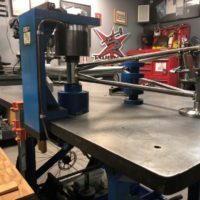 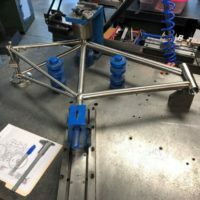 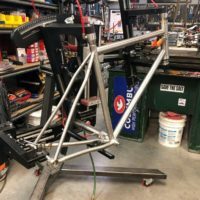 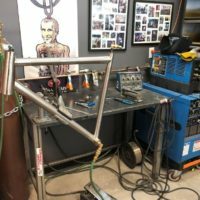 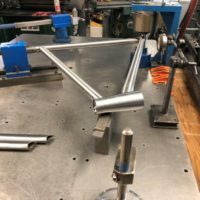 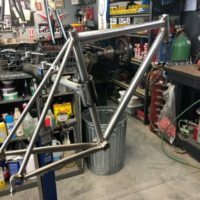 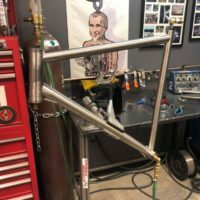 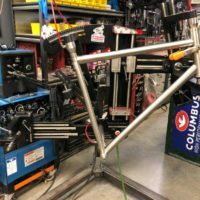 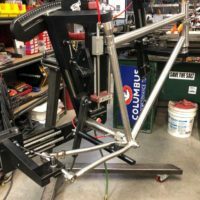 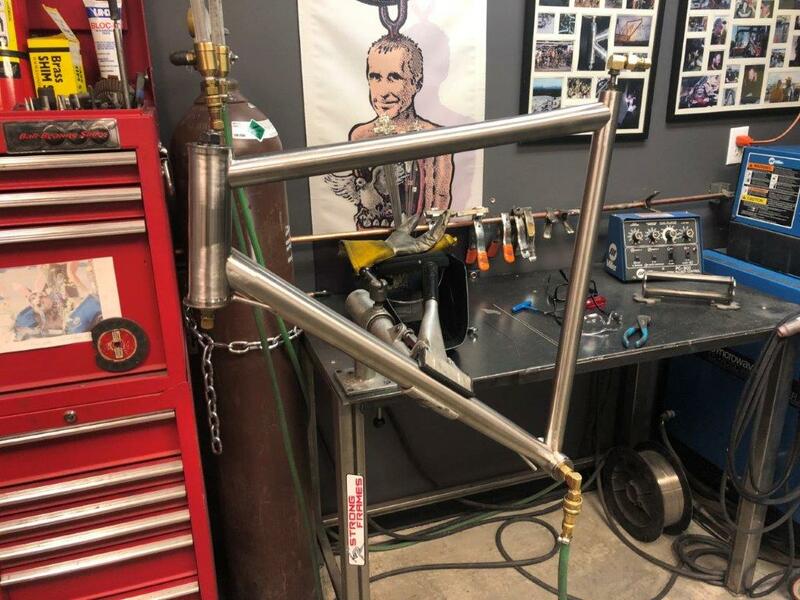 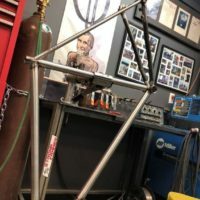 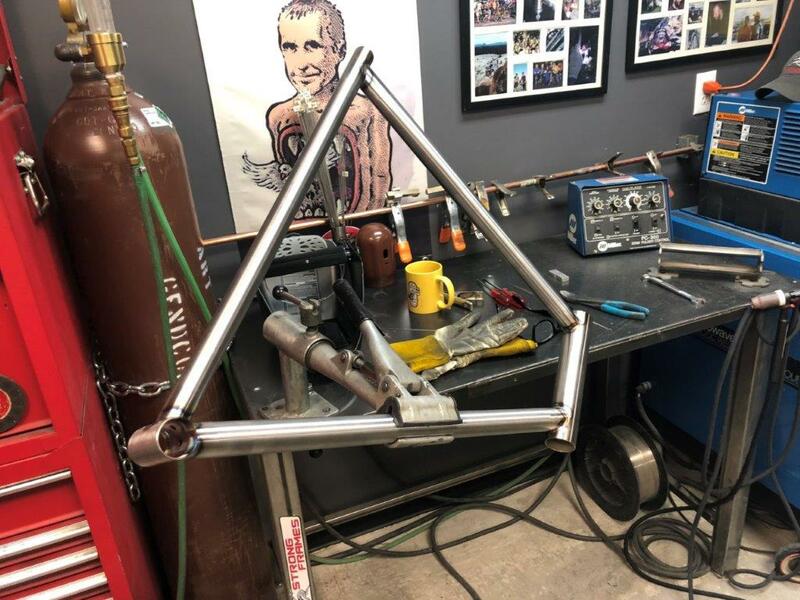 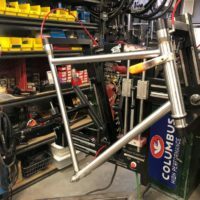 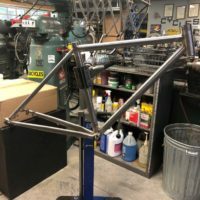 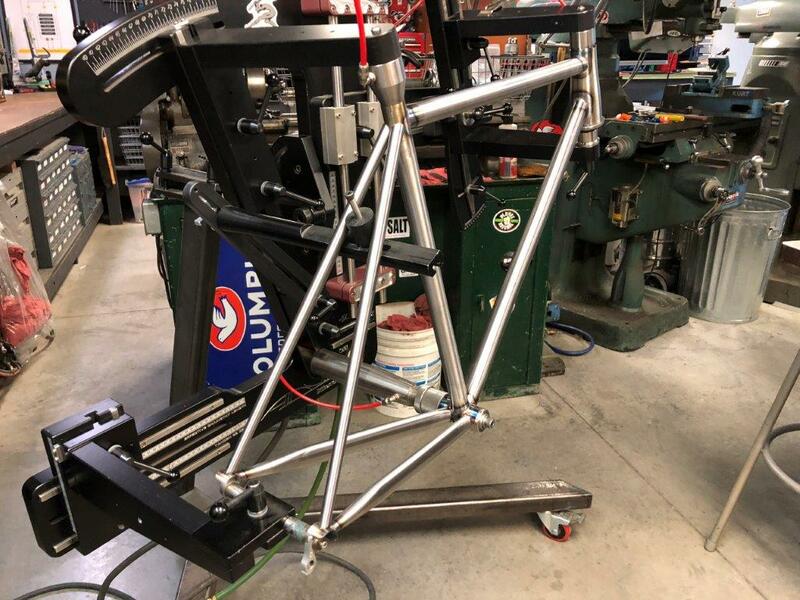 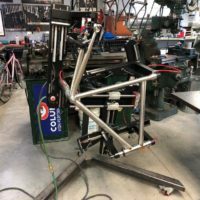 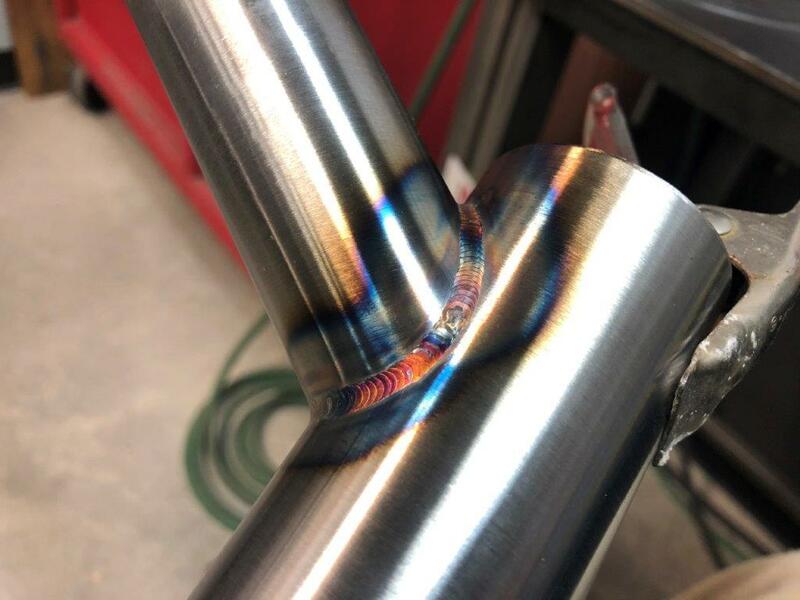 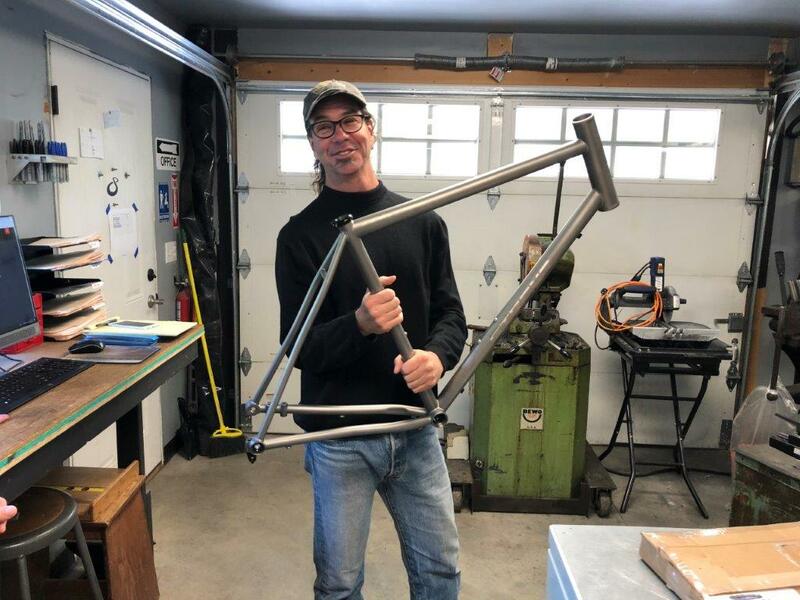 Titanium cyclocross frame. 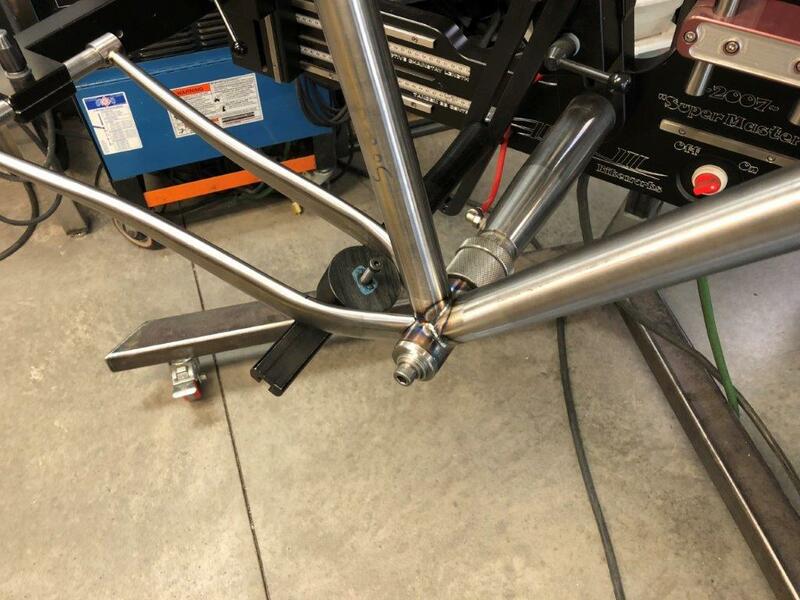 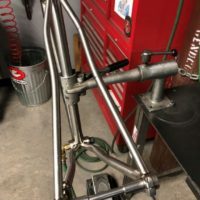 S-Bend chainstays and seatstays, flat-mount brake. 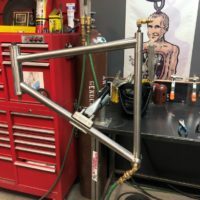 This frame features a 40mm headtube extension to address fit concerns. 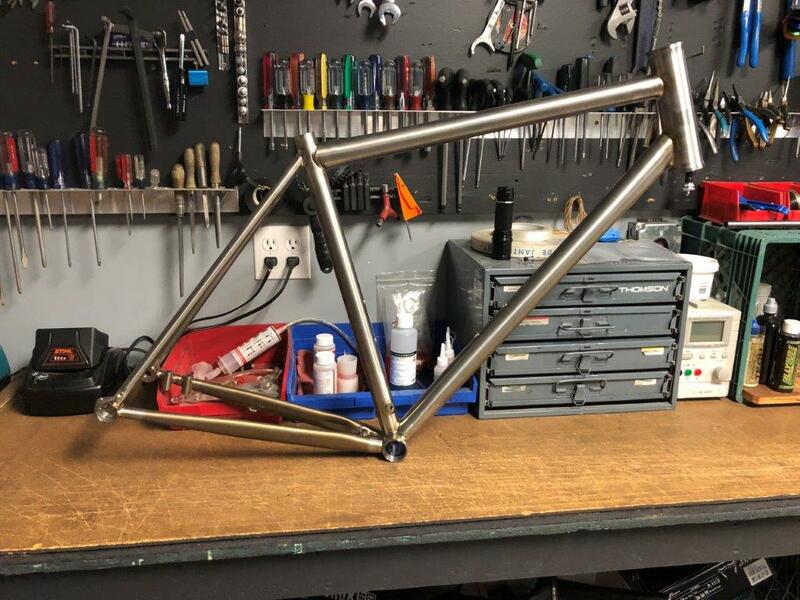 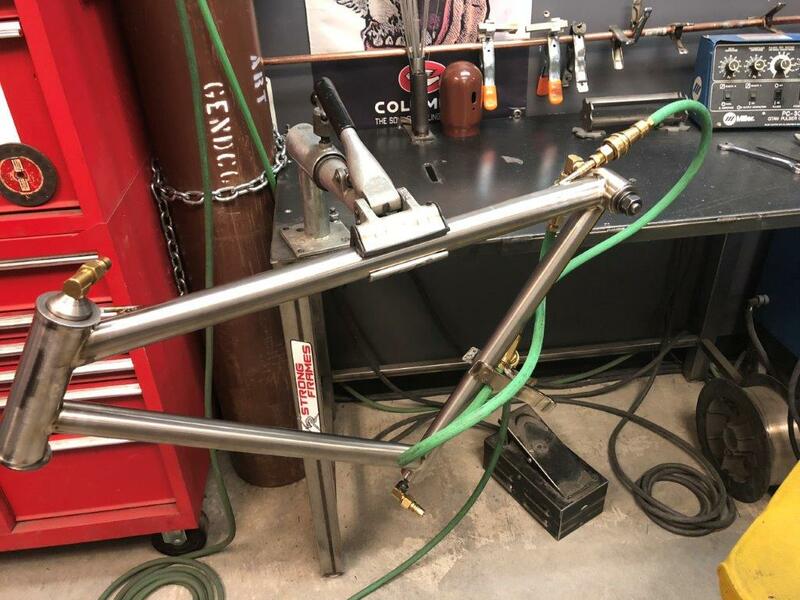 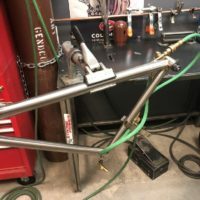 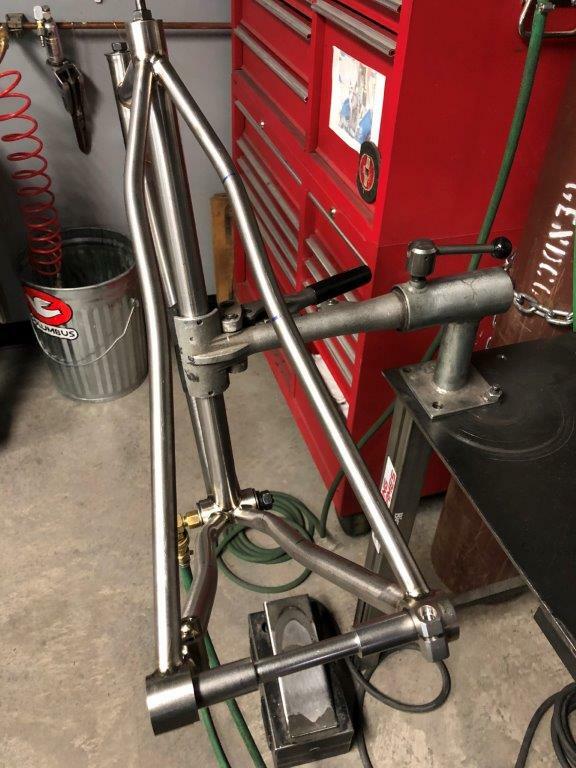 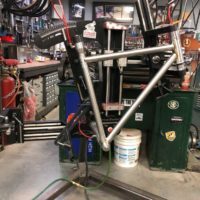 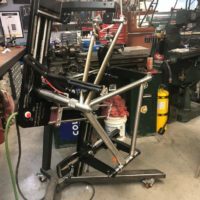 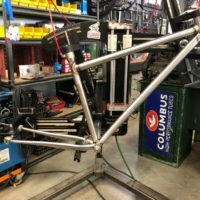 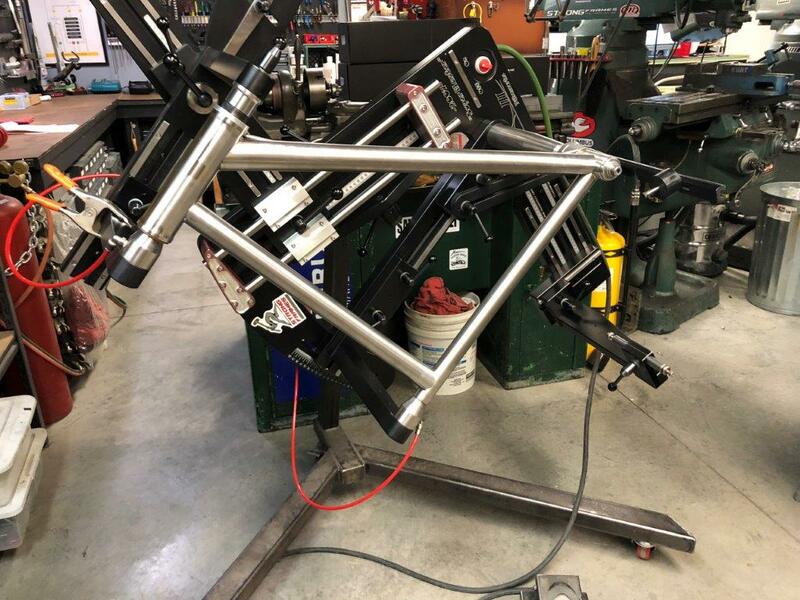 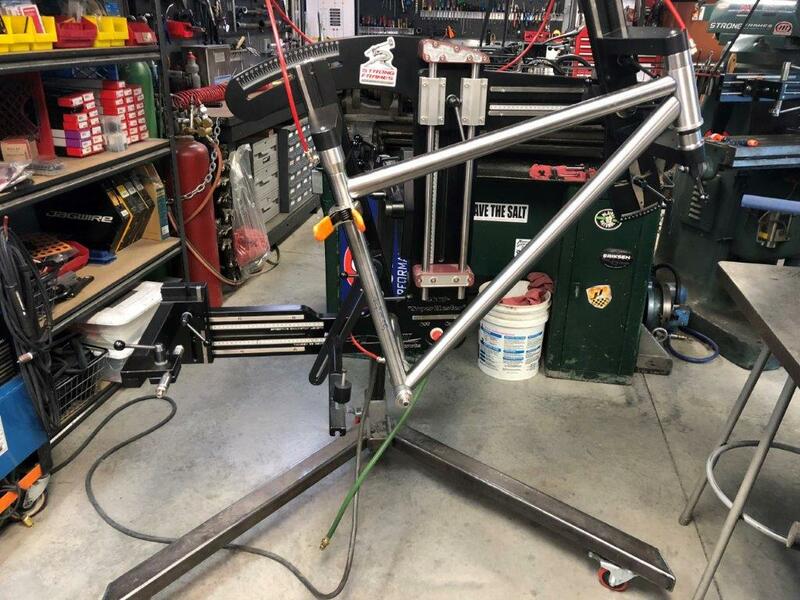 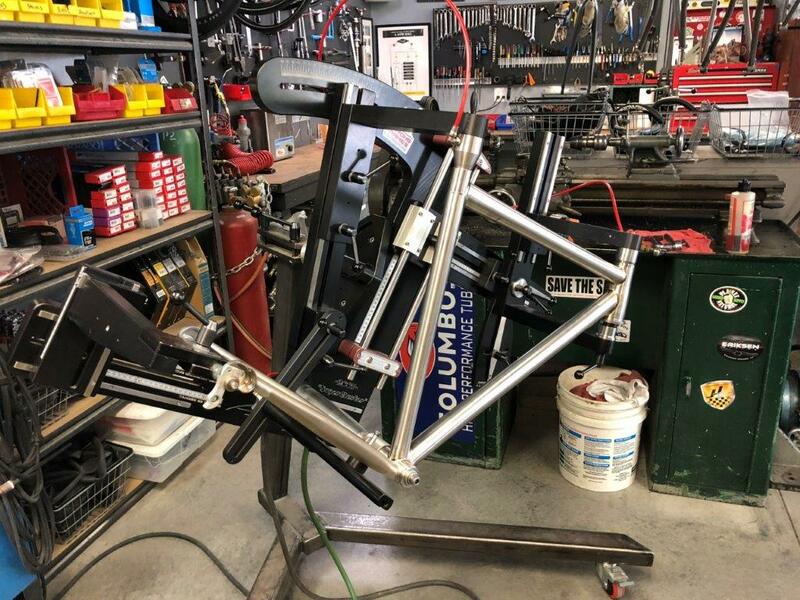 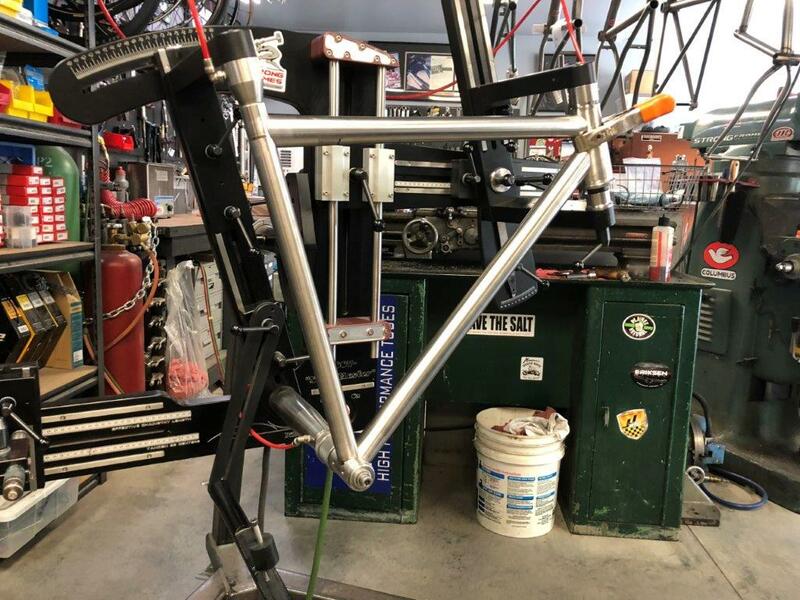 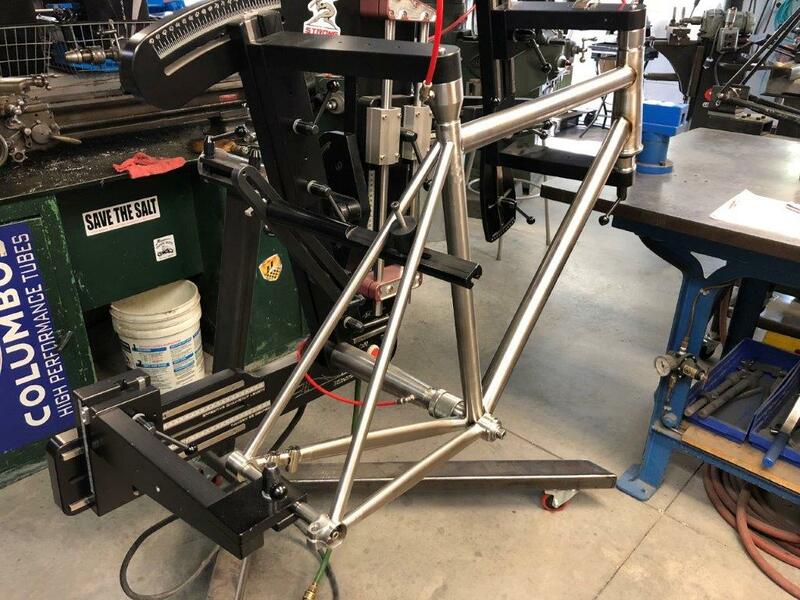 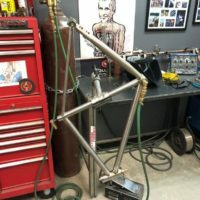 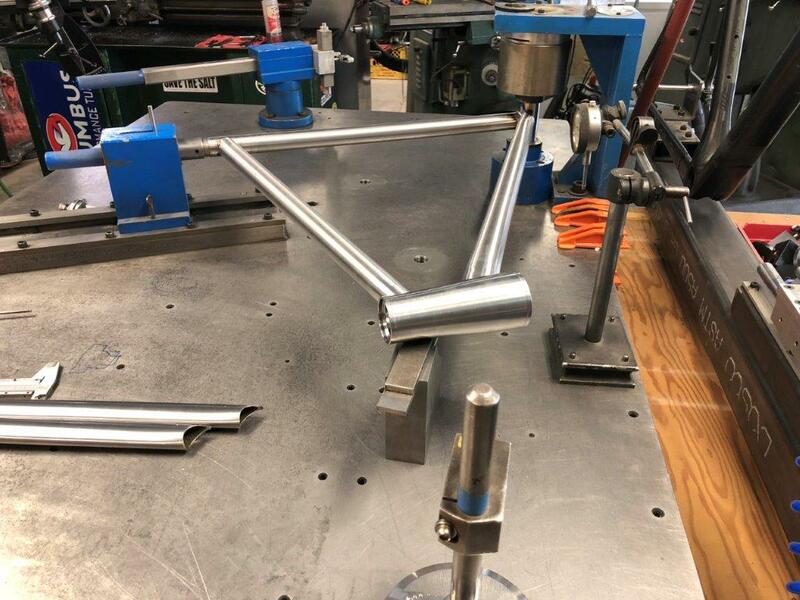 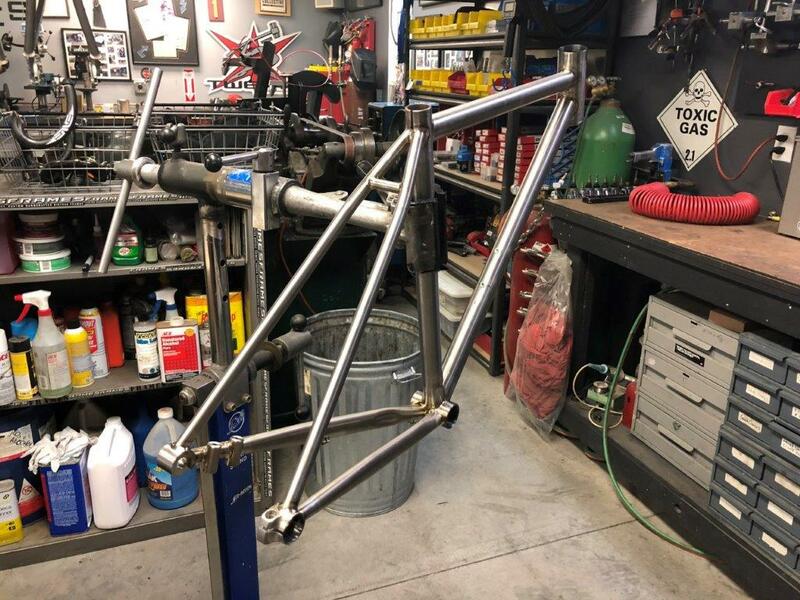 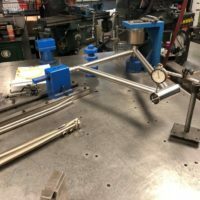 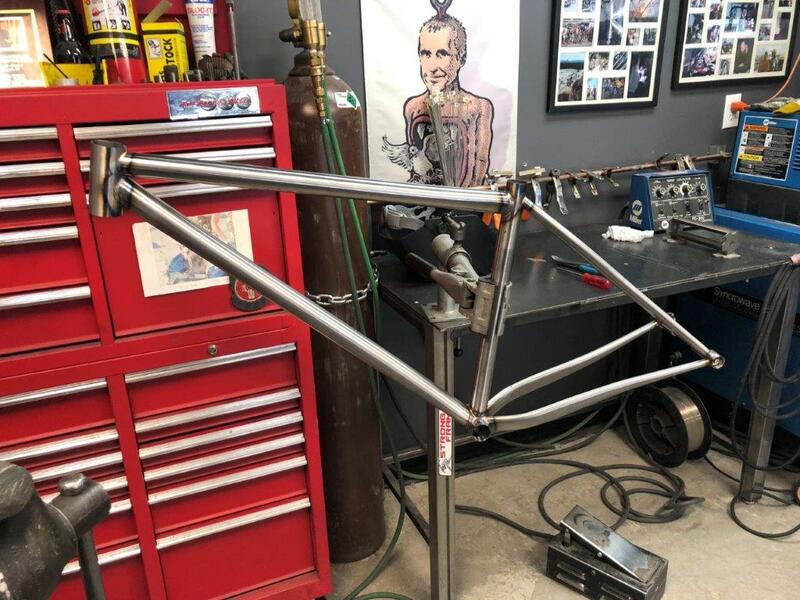 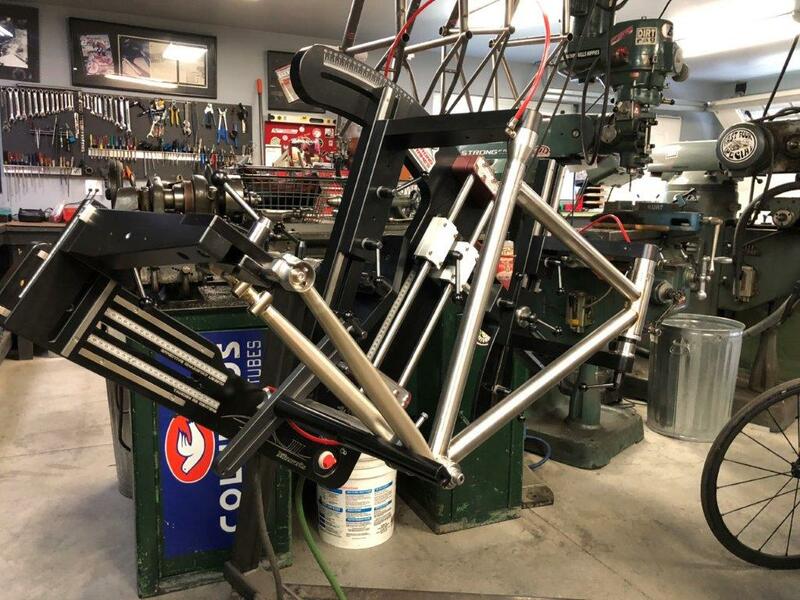 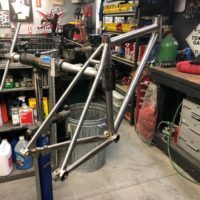 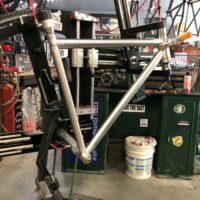 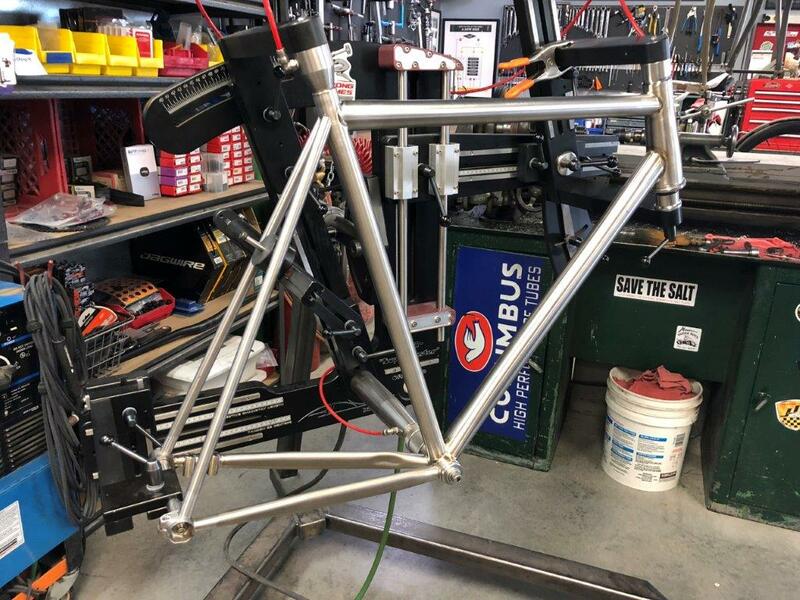 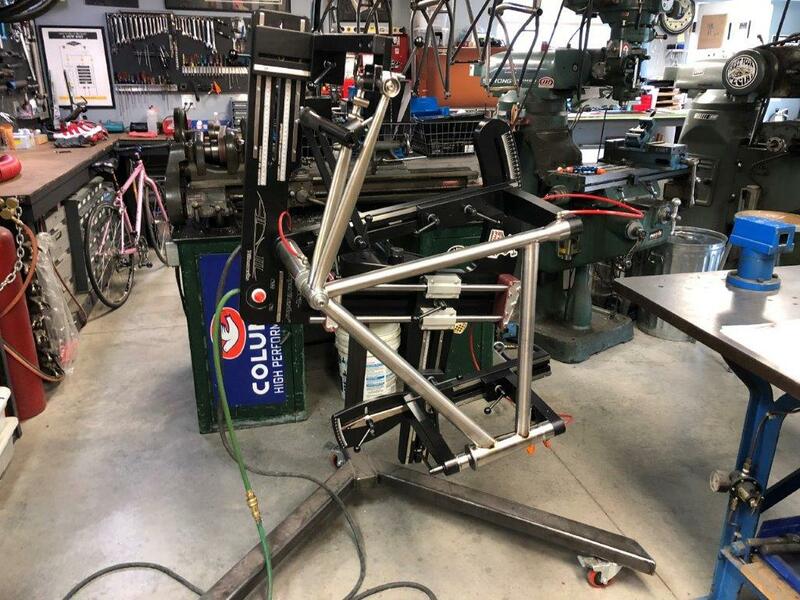 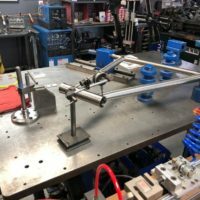 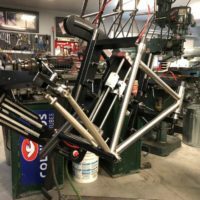 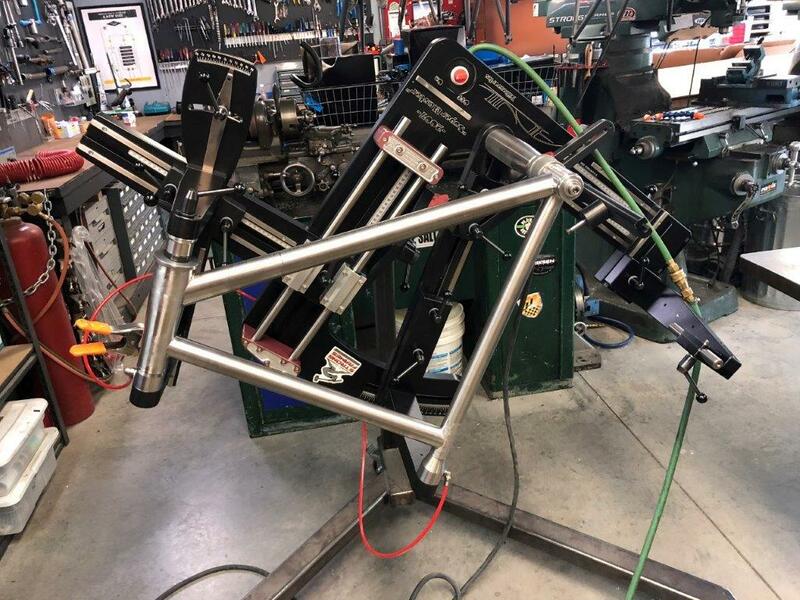 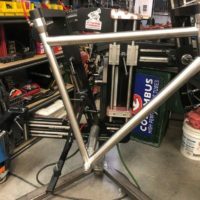 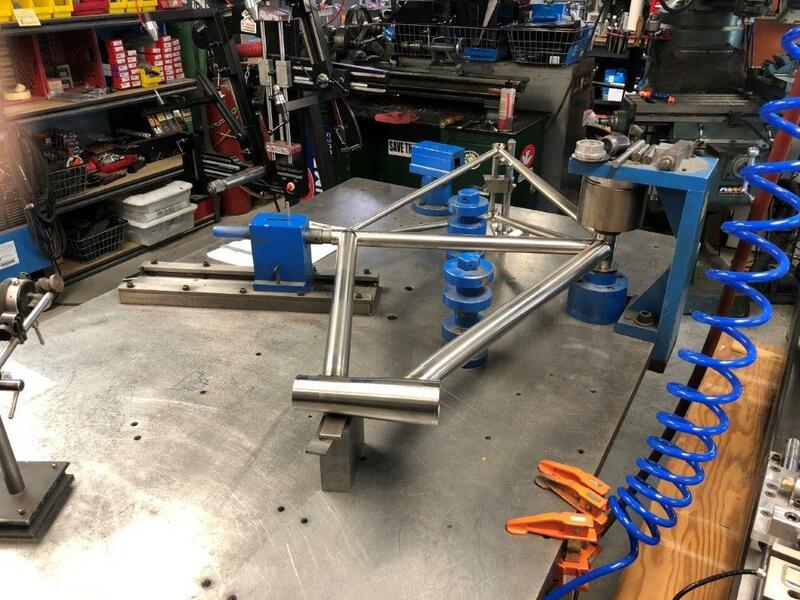 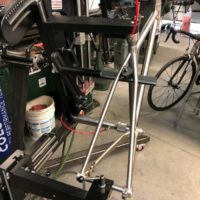 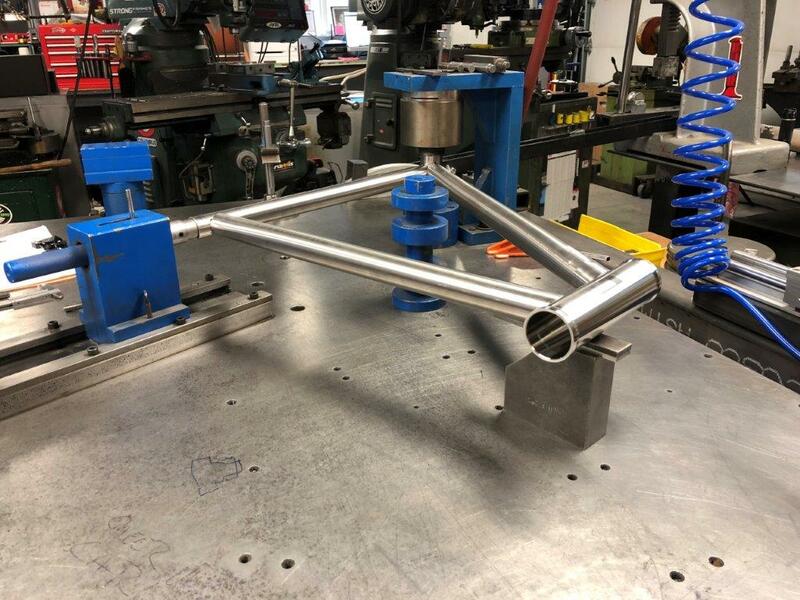 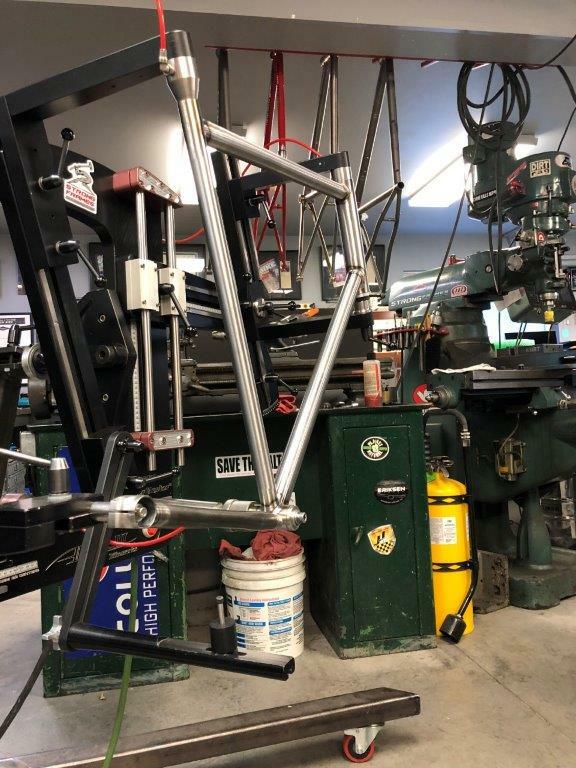 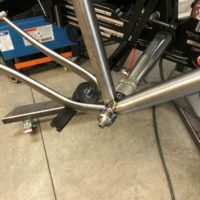 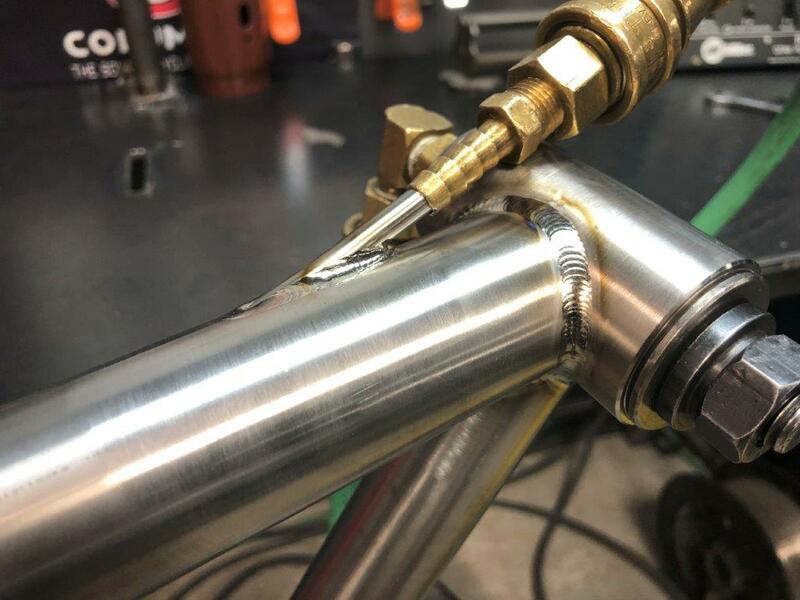 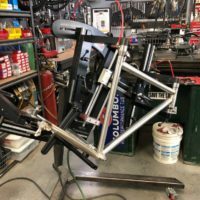 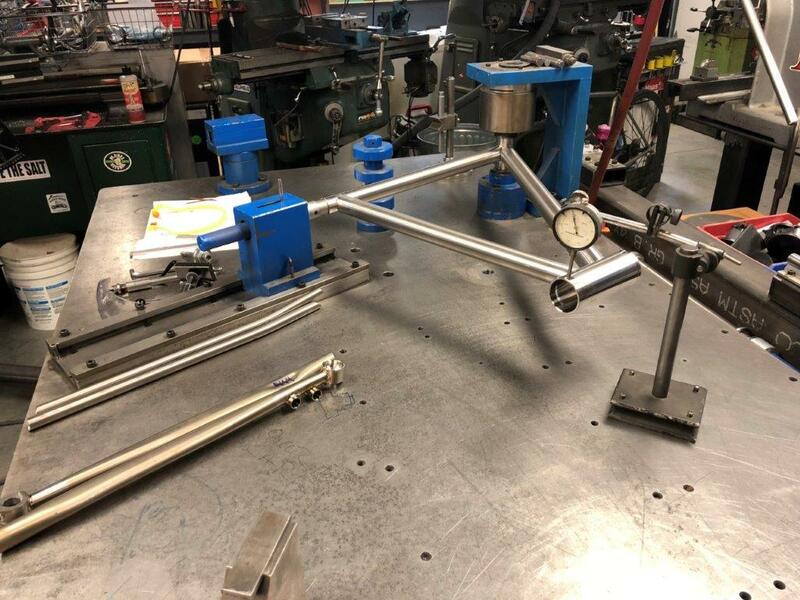 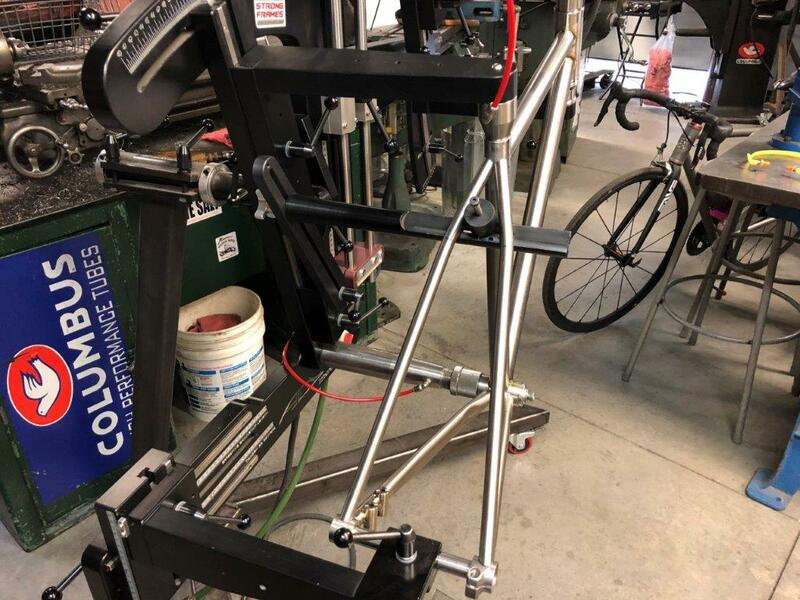 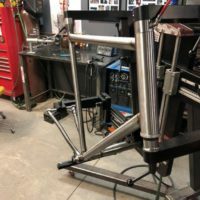 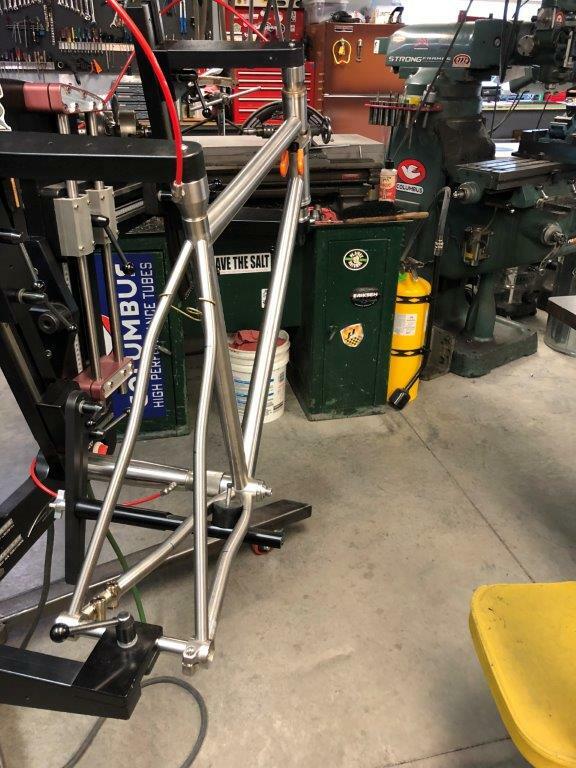 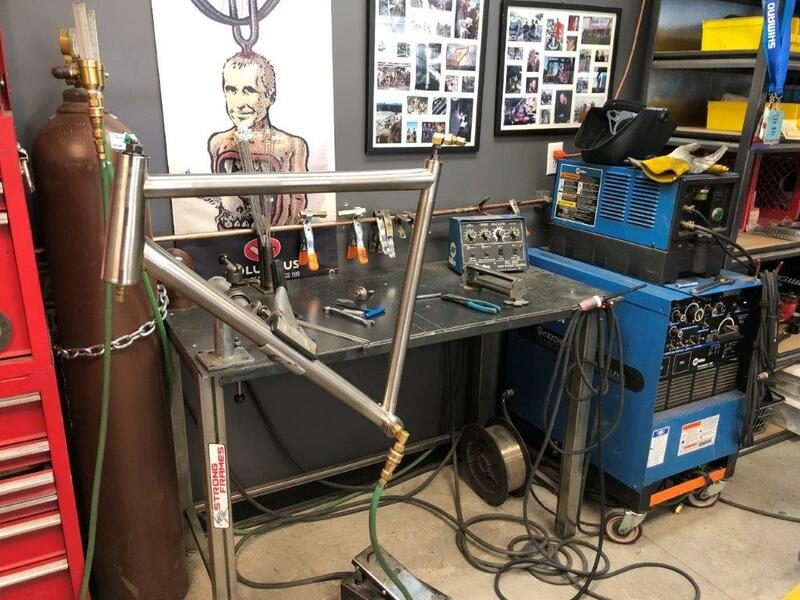 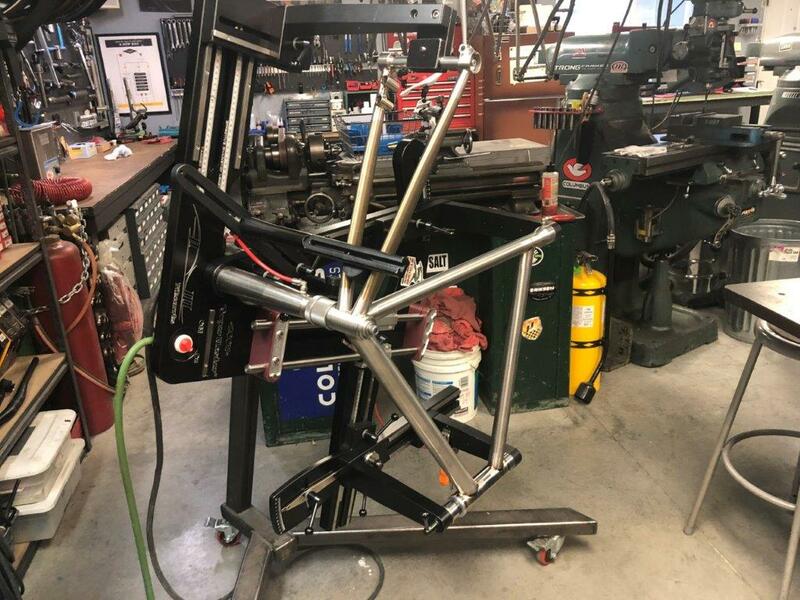 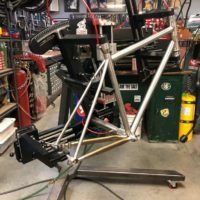 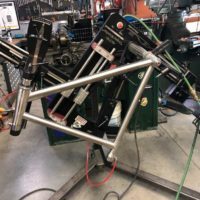 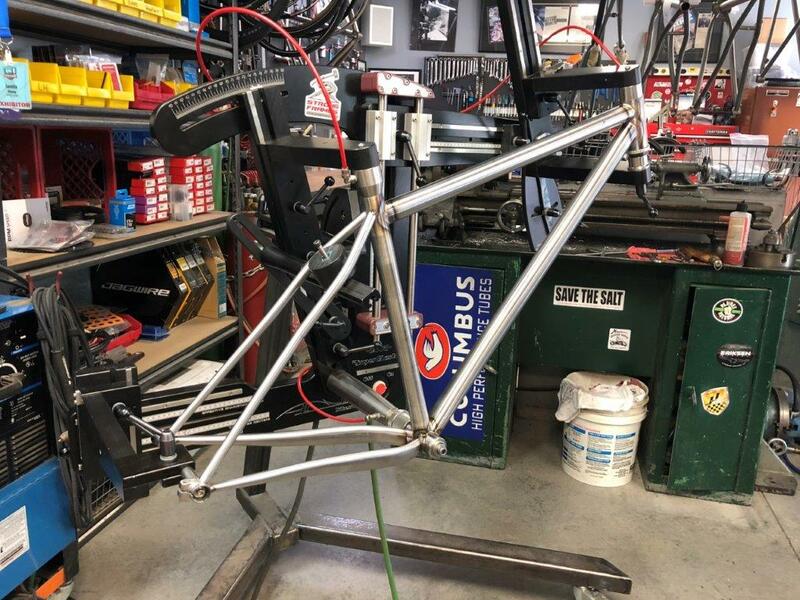 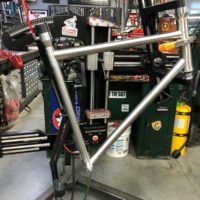 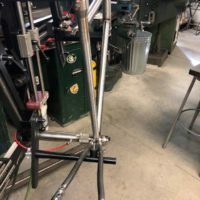 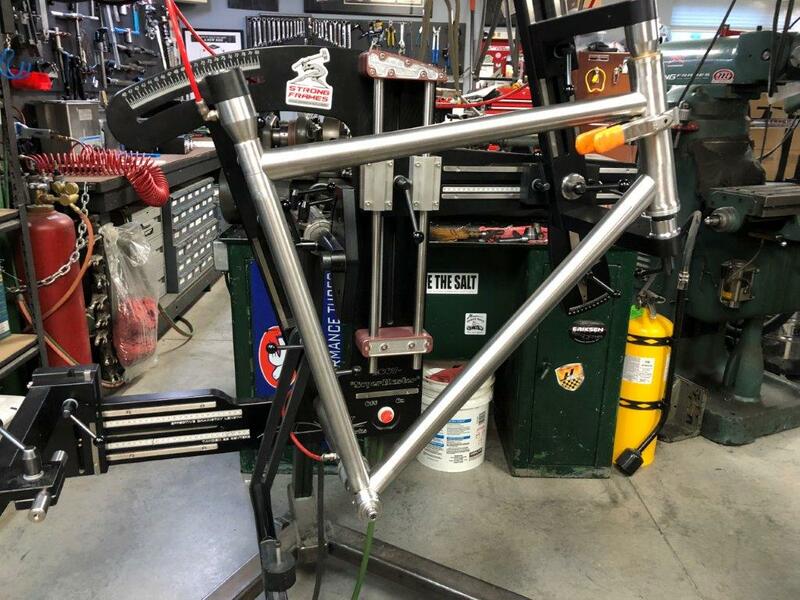 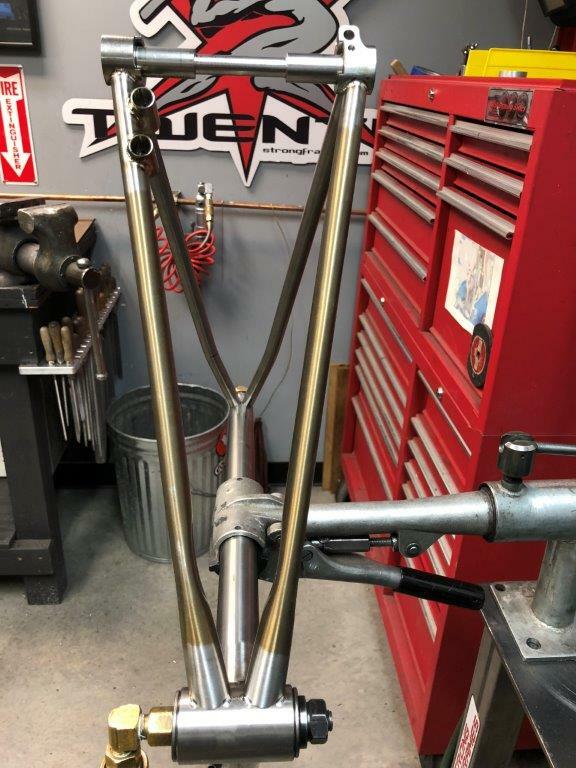 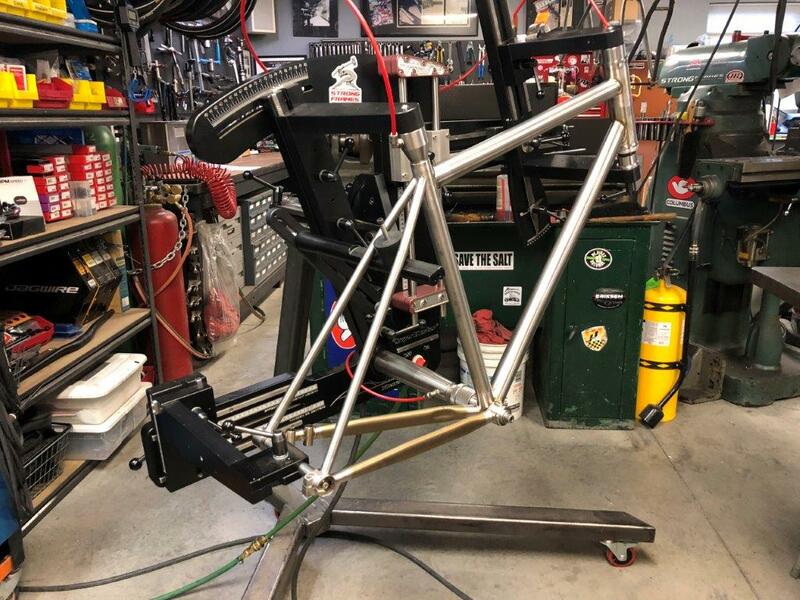 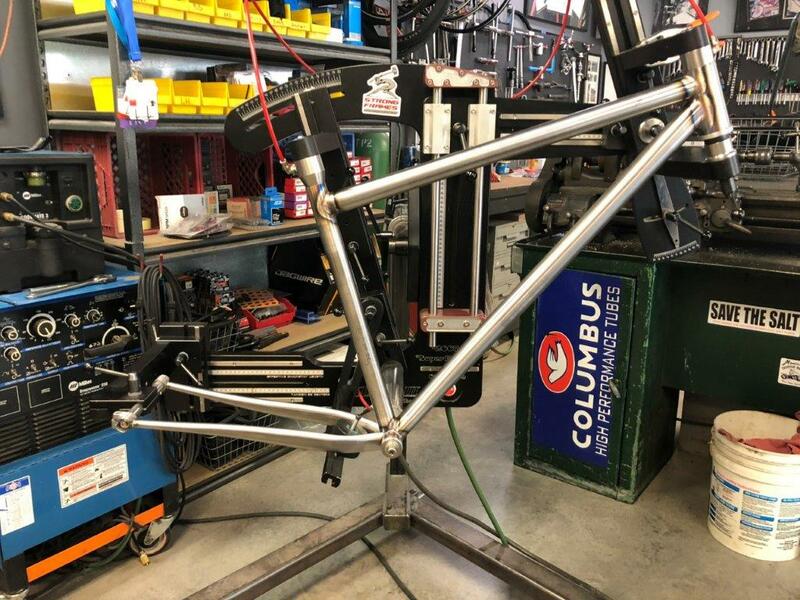 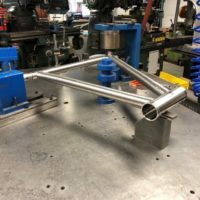 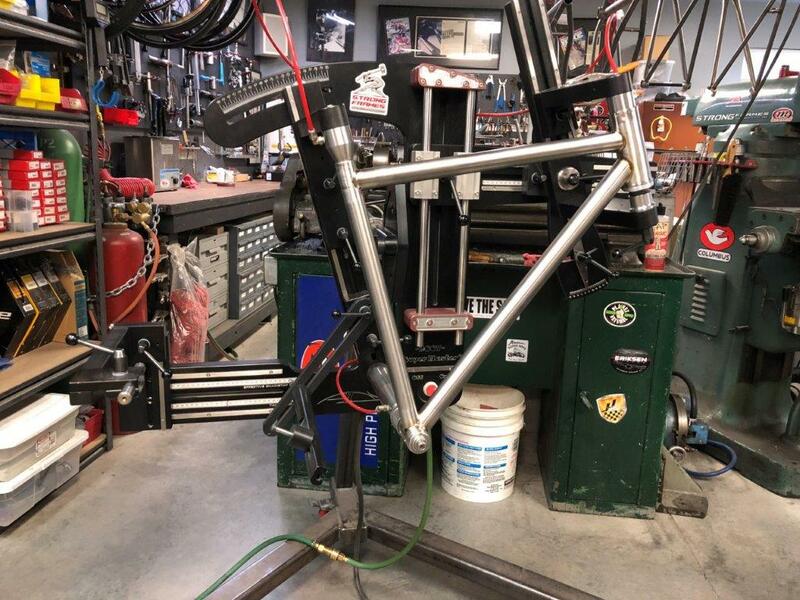 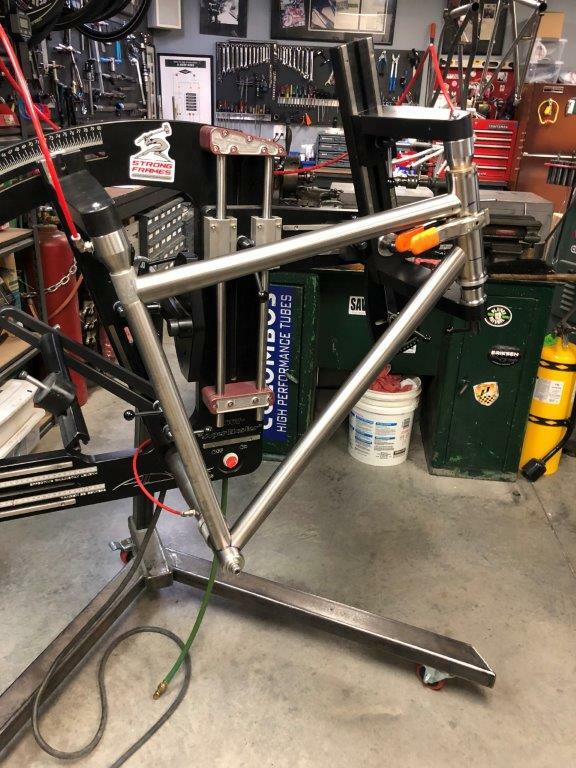 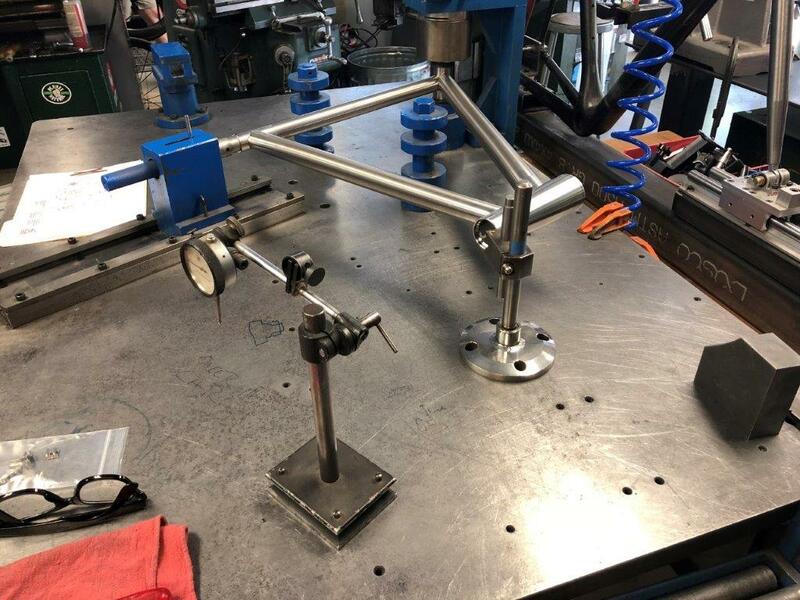 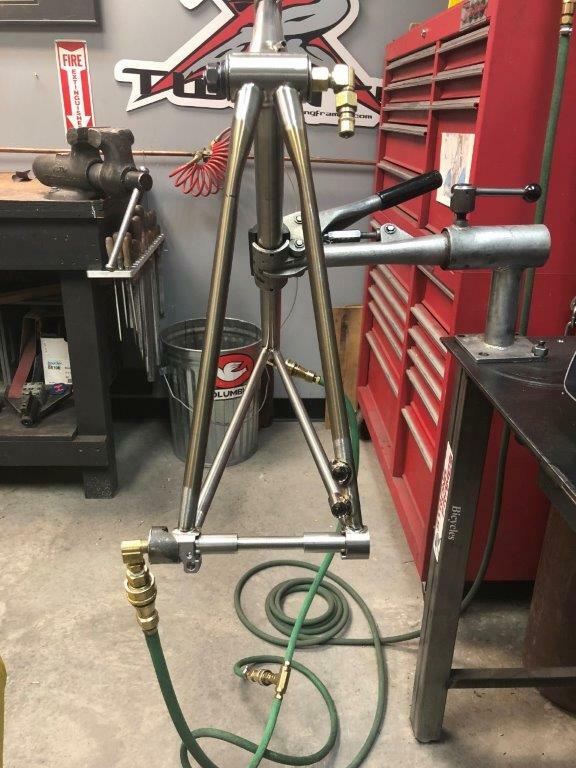 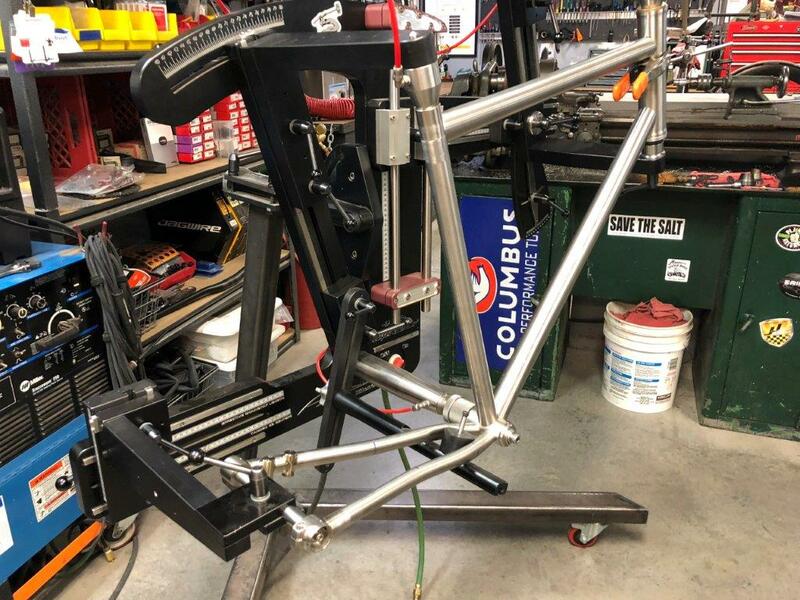 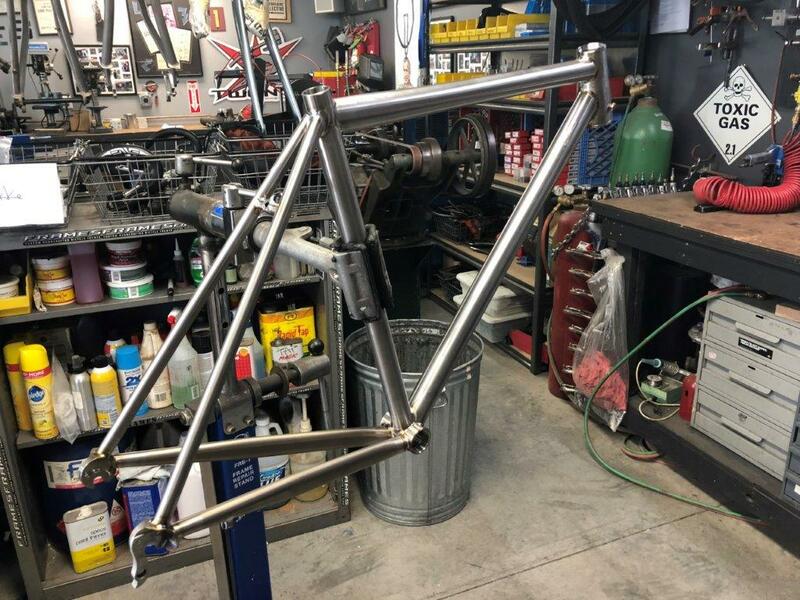 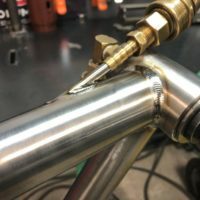 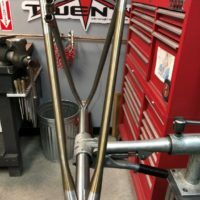 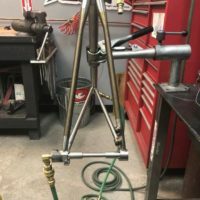 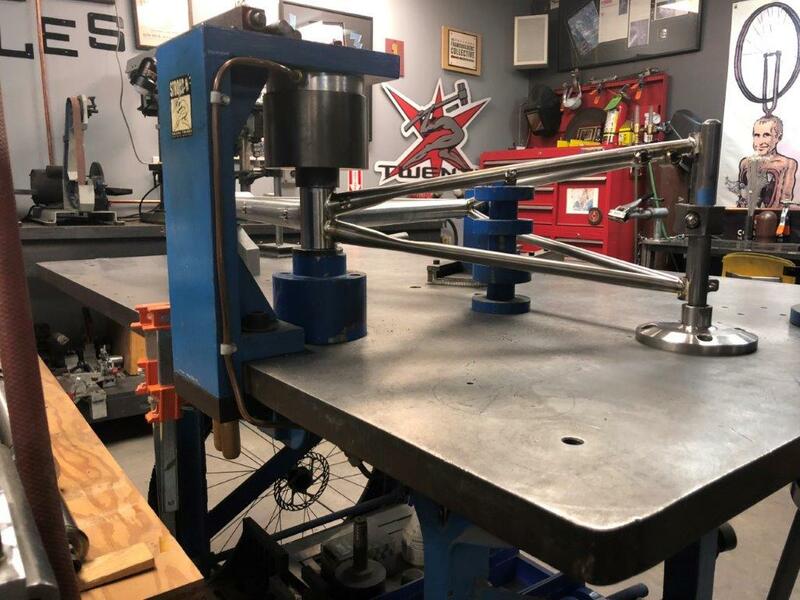 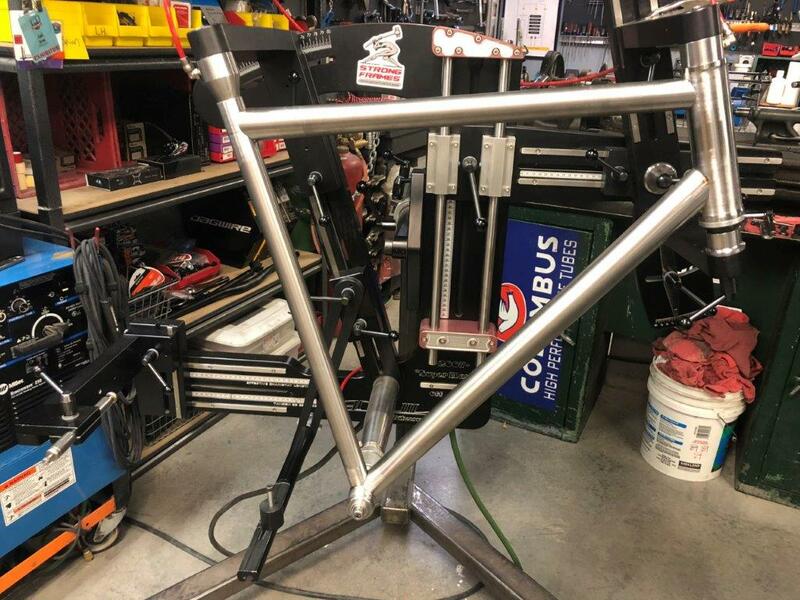 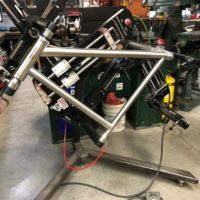 Double butted titanium cyclocross frame. 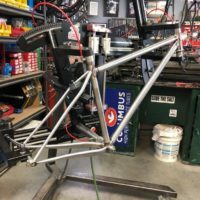 Features internal (IS) headutbe, flat-mount brakes, internal brake routing and Syntace dropouts. 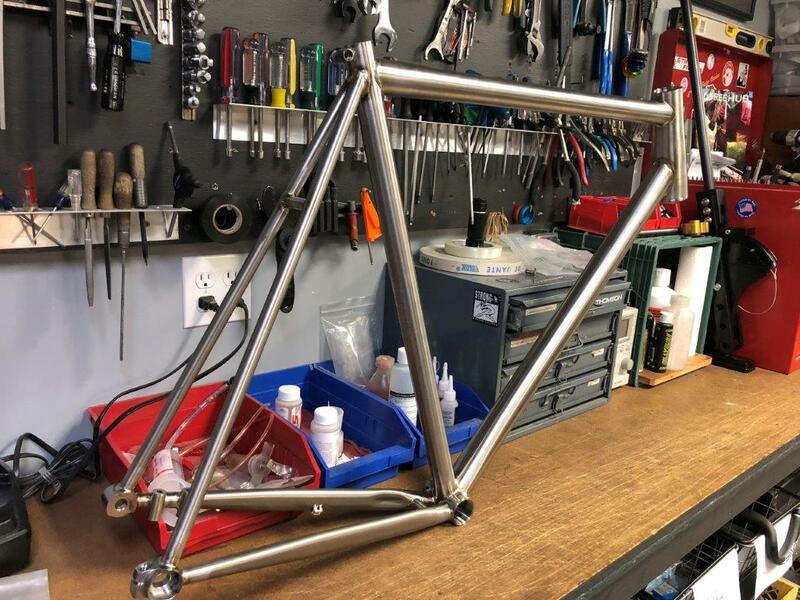 Titanium gravel frame with flat-mount disc brakes. 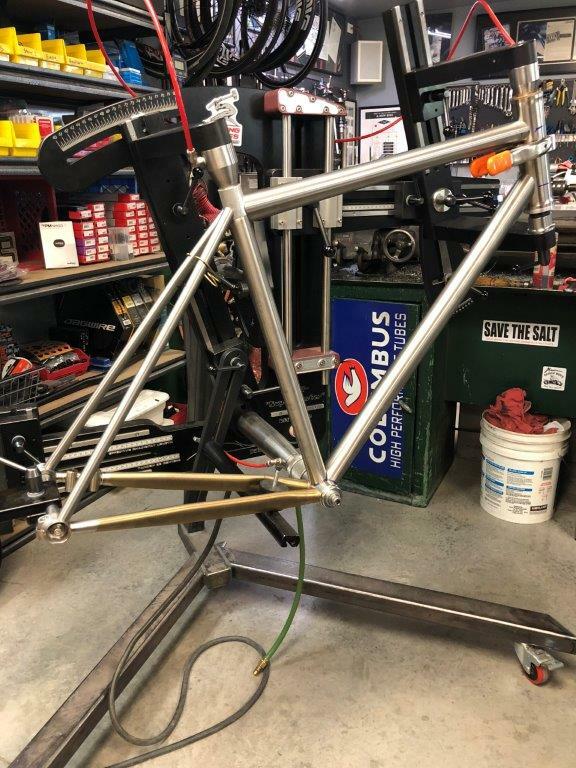 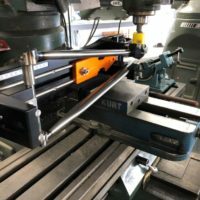 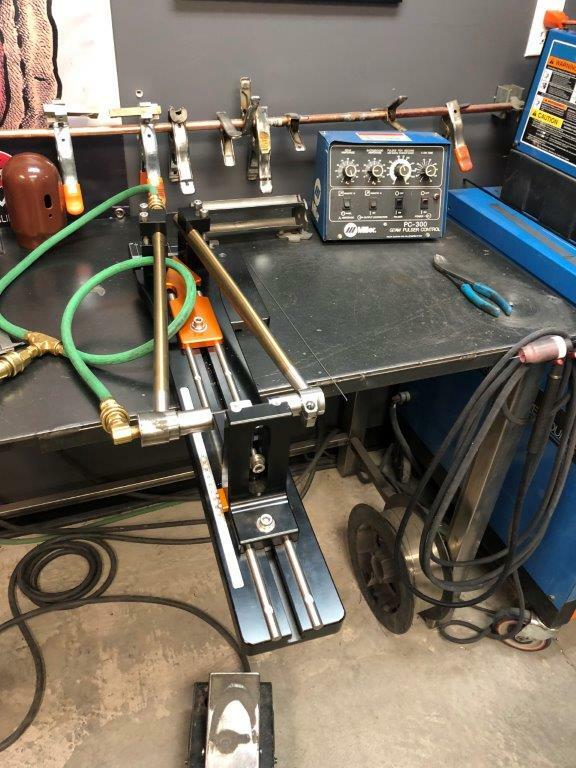 Ready for final finish and assembly. 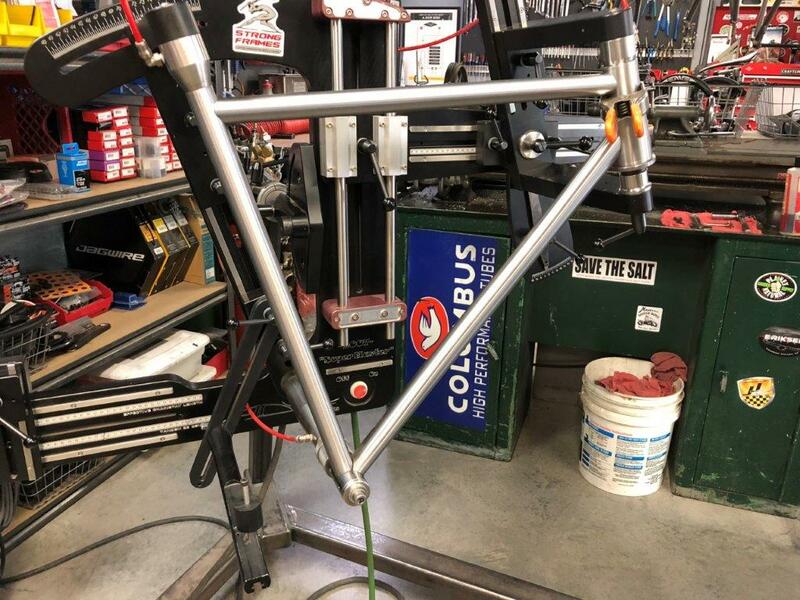 Custom Blend steel road with integrated headtube, QR’s and rim brakes. 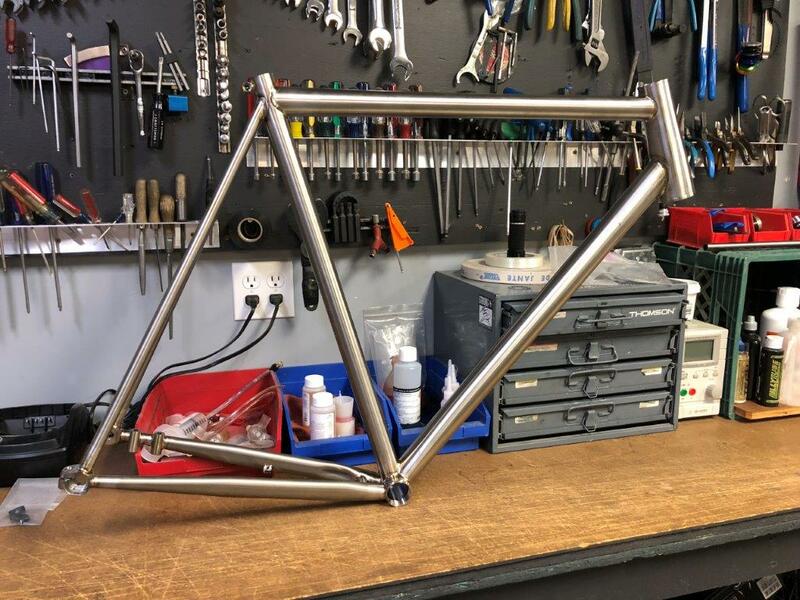 Titanium disc road frame. 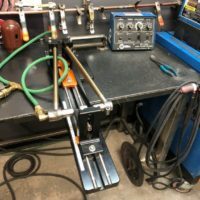 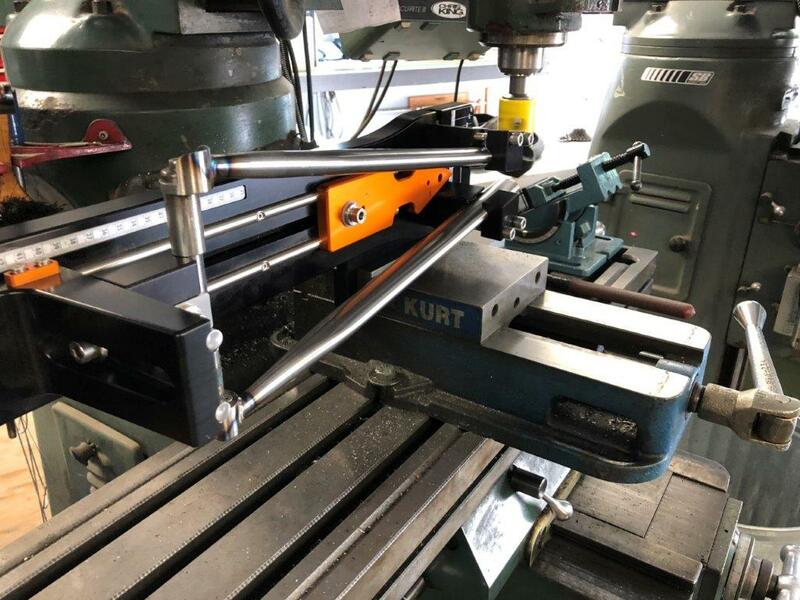 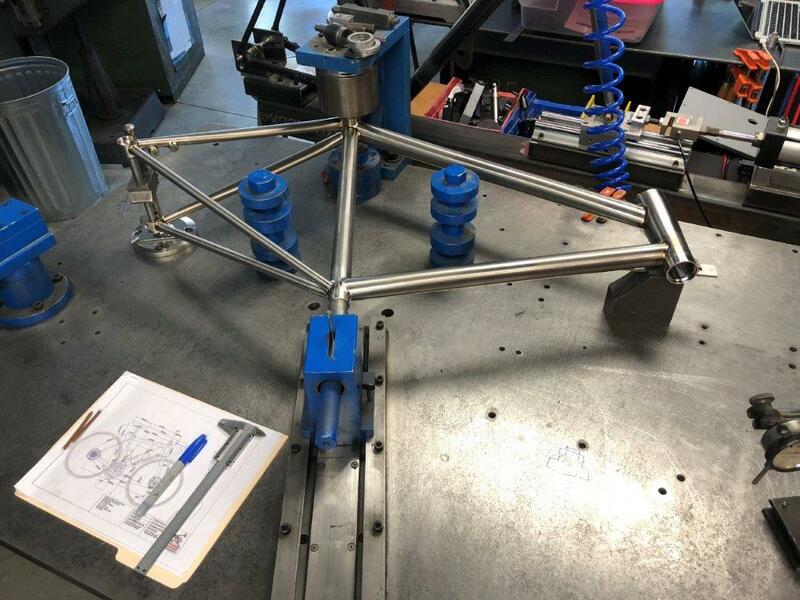 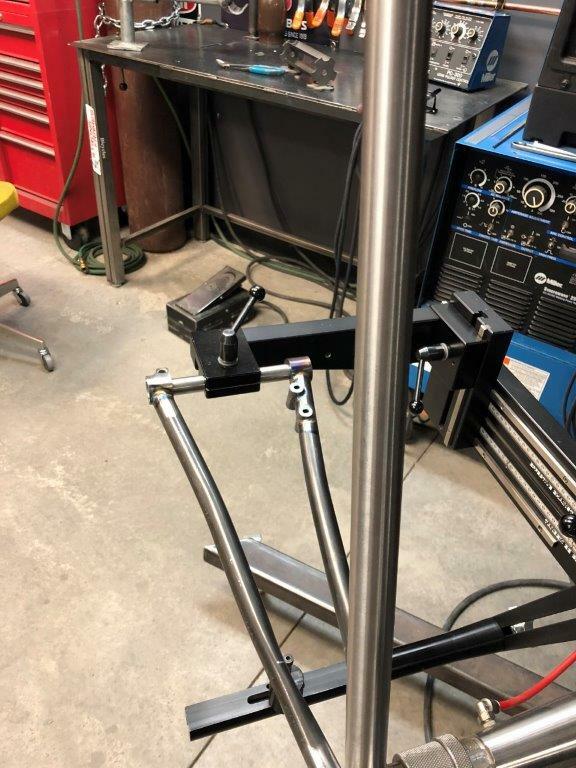 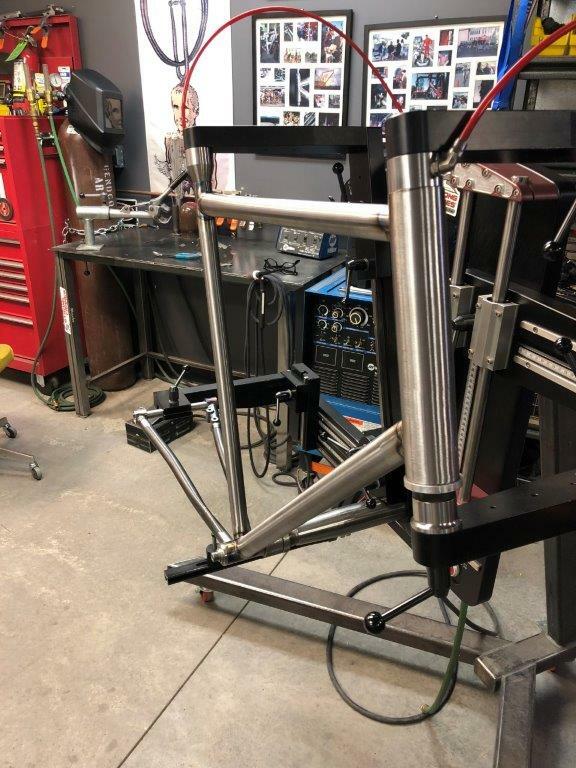 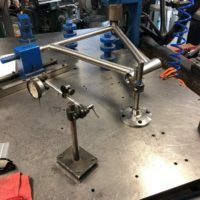 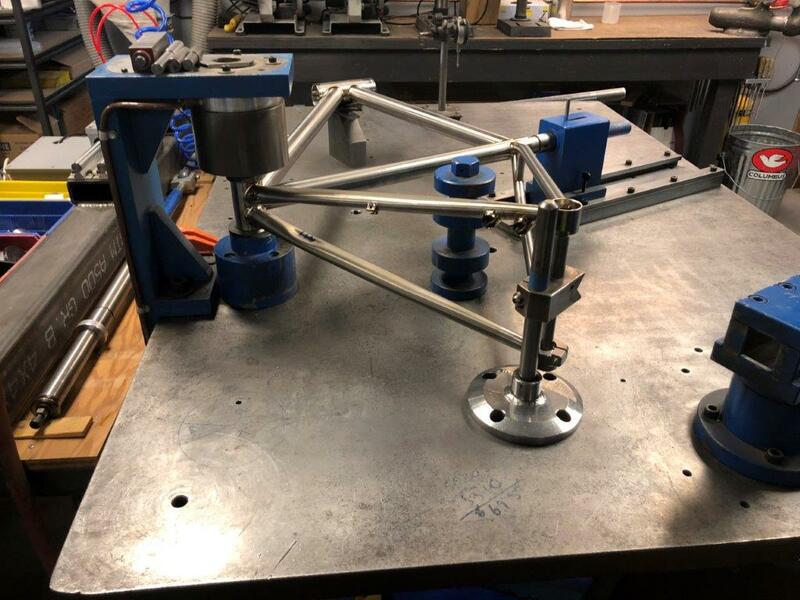 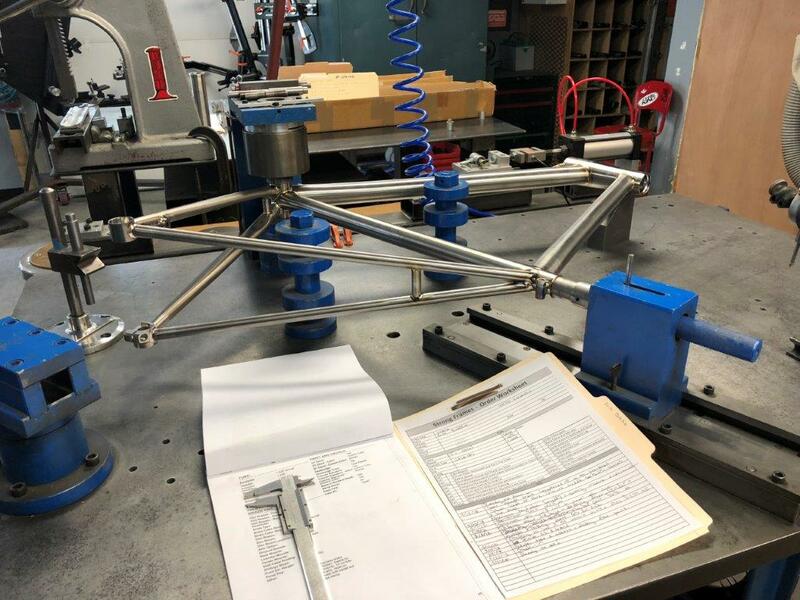 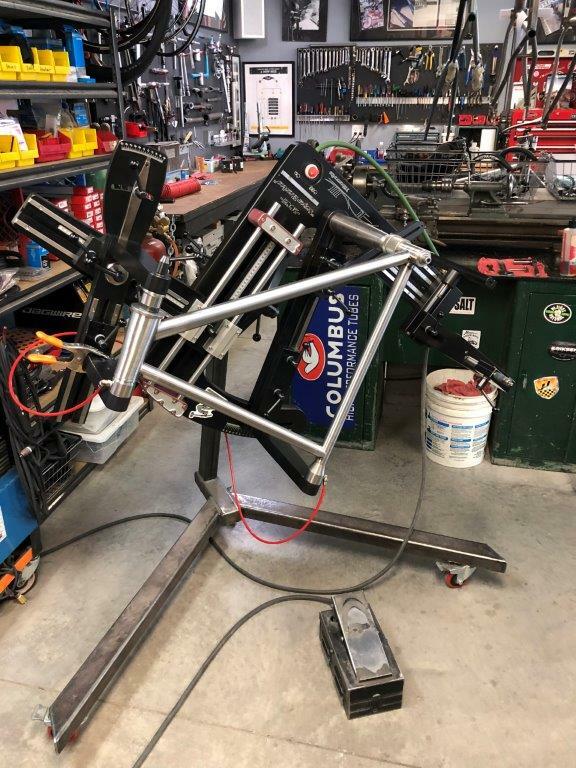 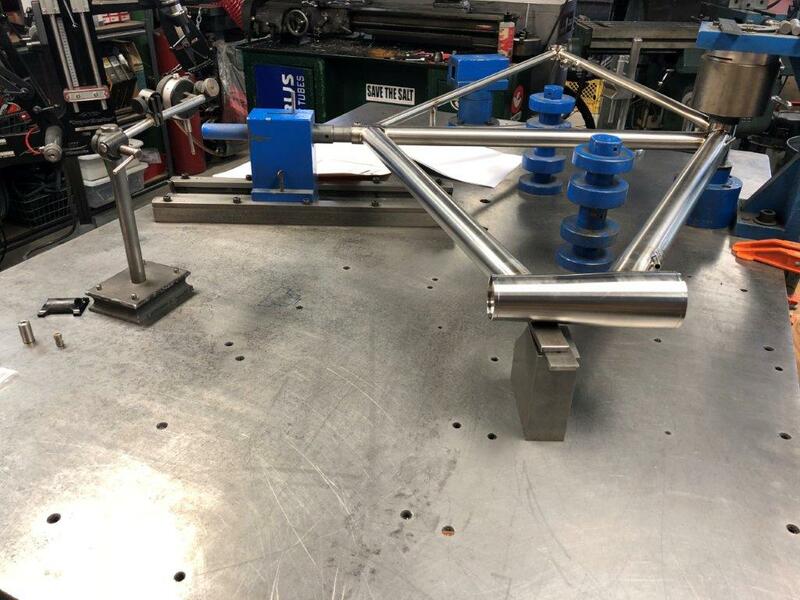 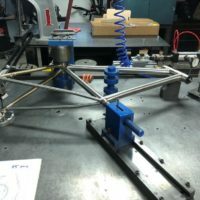 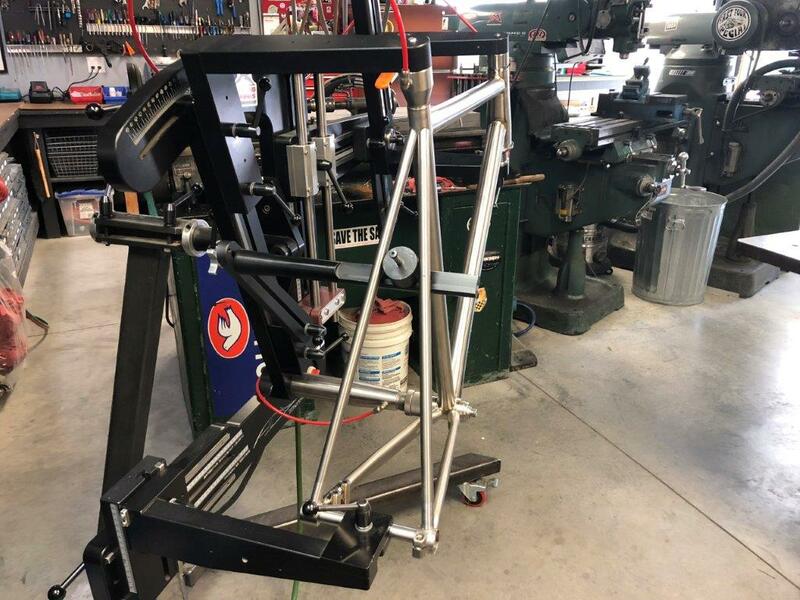 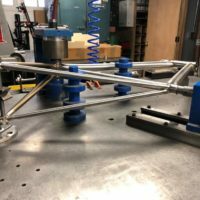 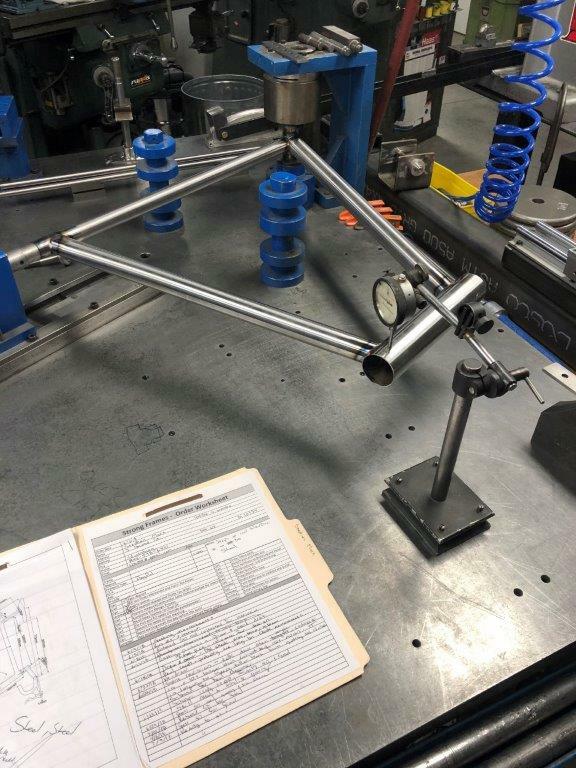 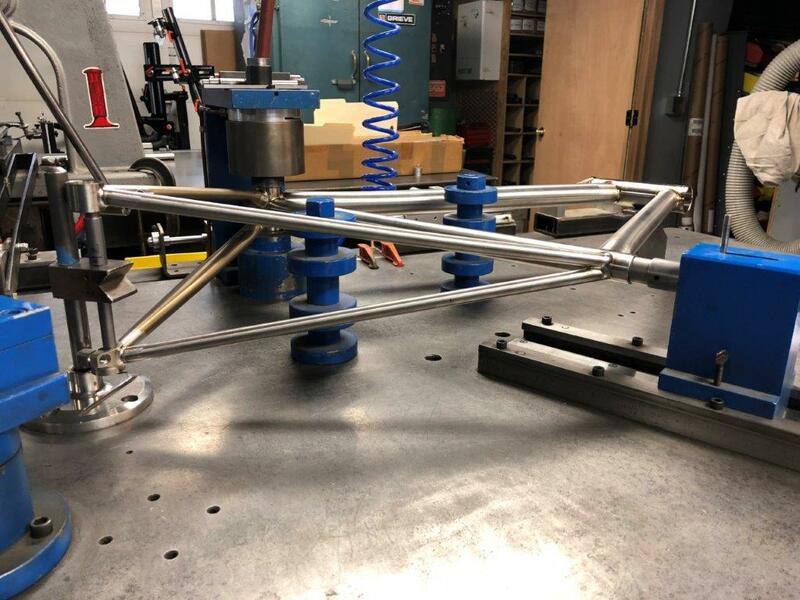 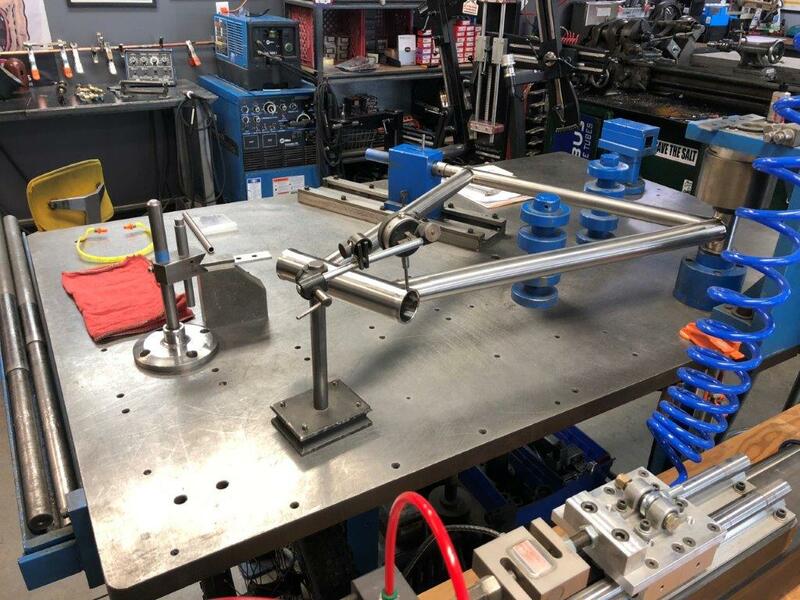 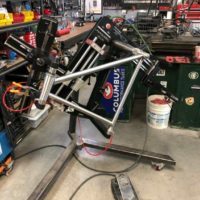 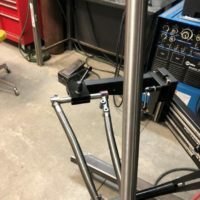 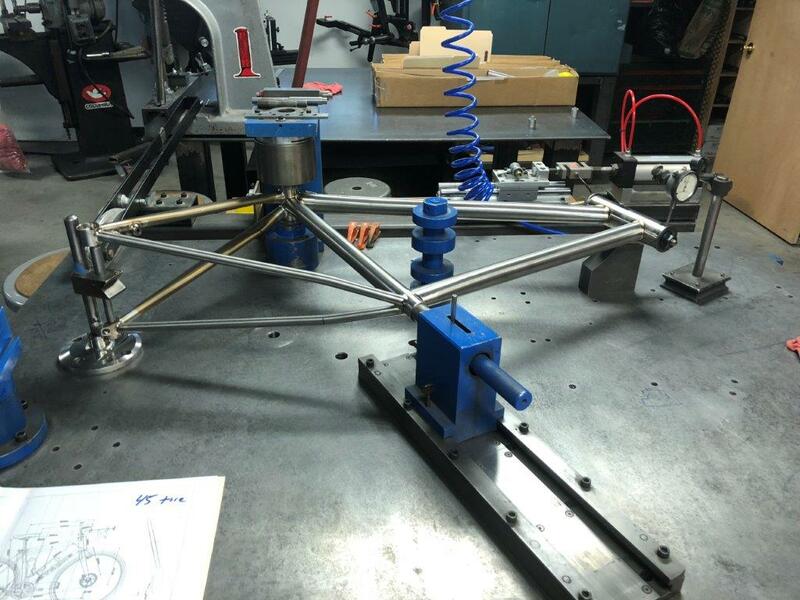 We’ve built this frame for the flat mount disc brakes with internal brake housing. 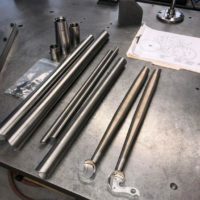 It also features a tapered headtube for internal bearings. 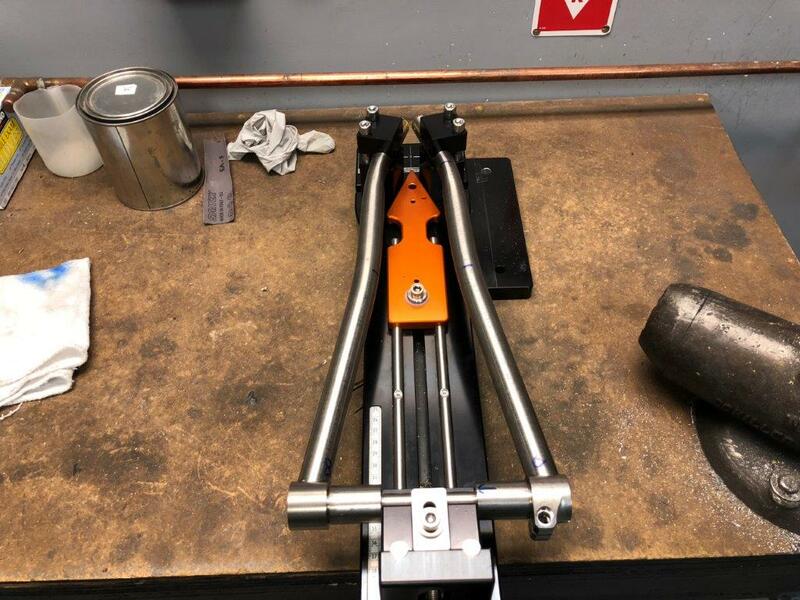 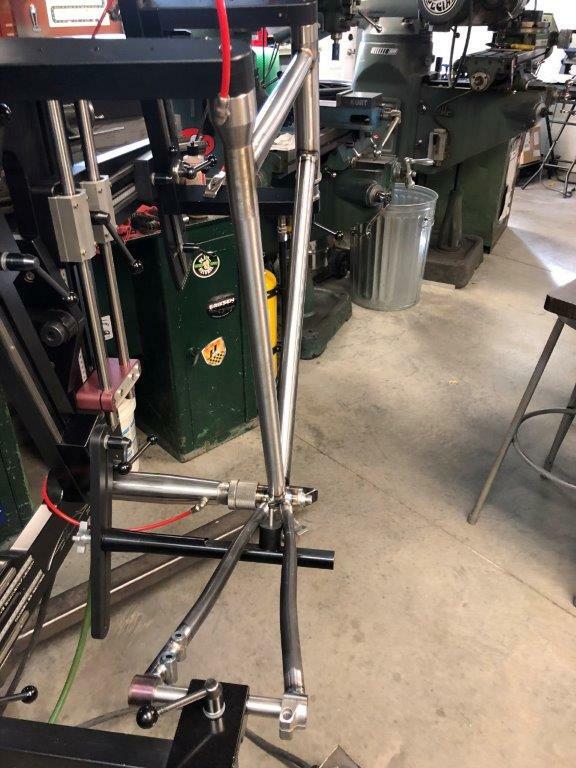 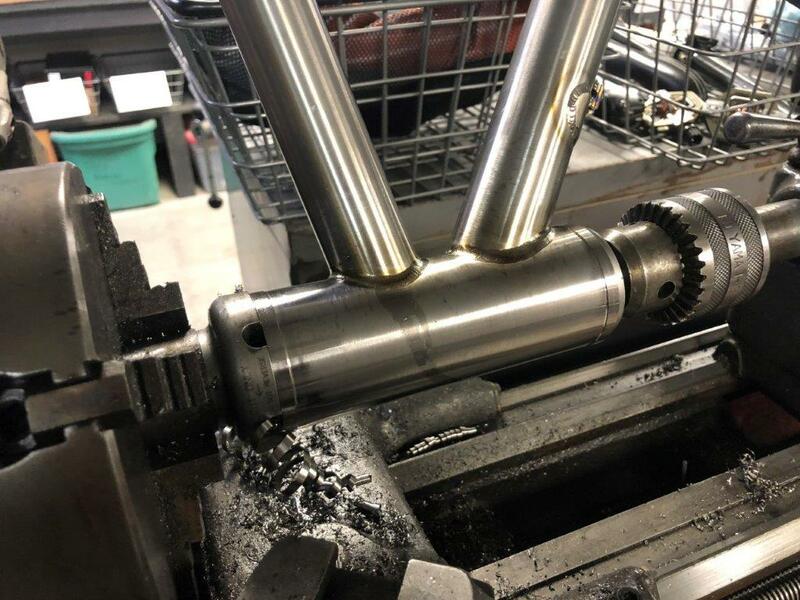 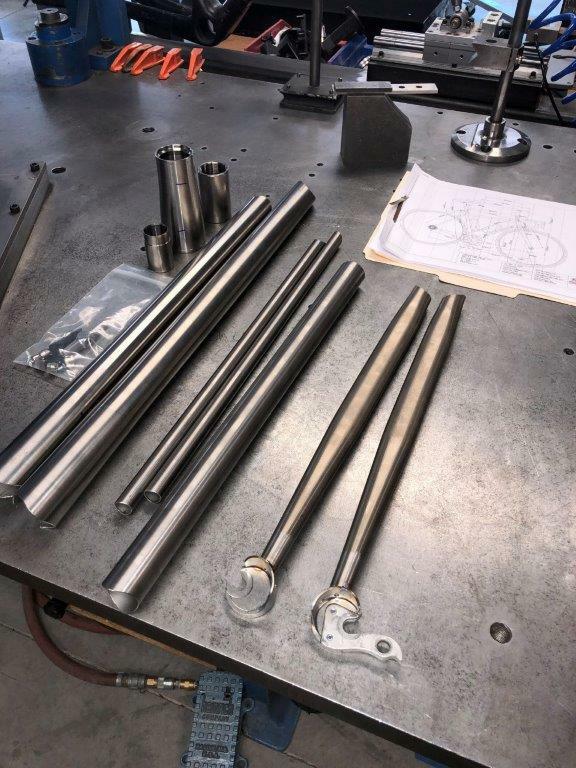 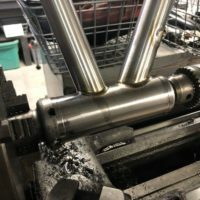 The combination of the tapered headtube, internal bearings and the Columbus Futura fork we’ll be using, produce a very clean line.